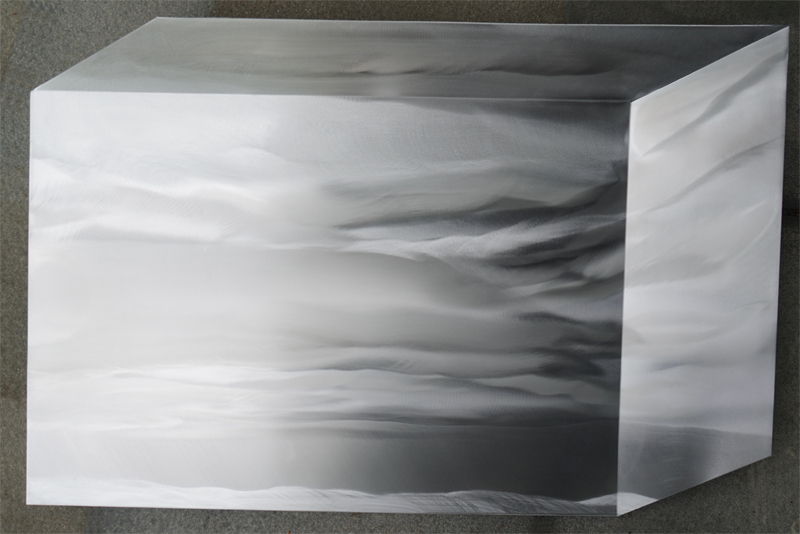 Homer Wells is part artist, part machinist, part magician. 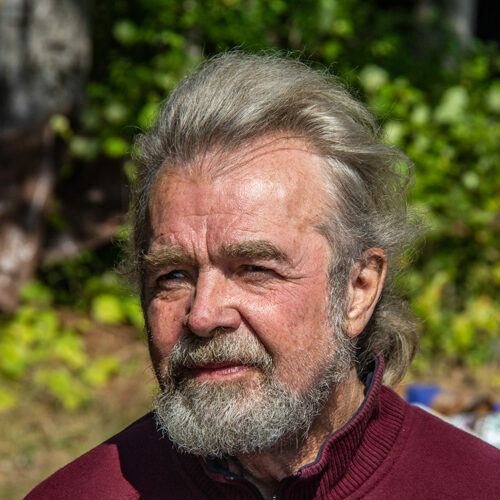 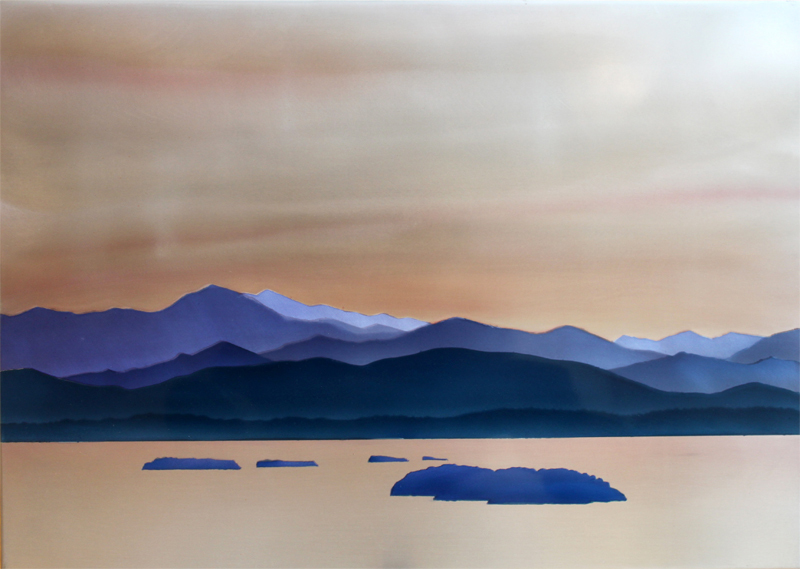 Originally a sign maker by trade and one of Vermont’s preeminent metal sculptors, Homer works with recycled metal. 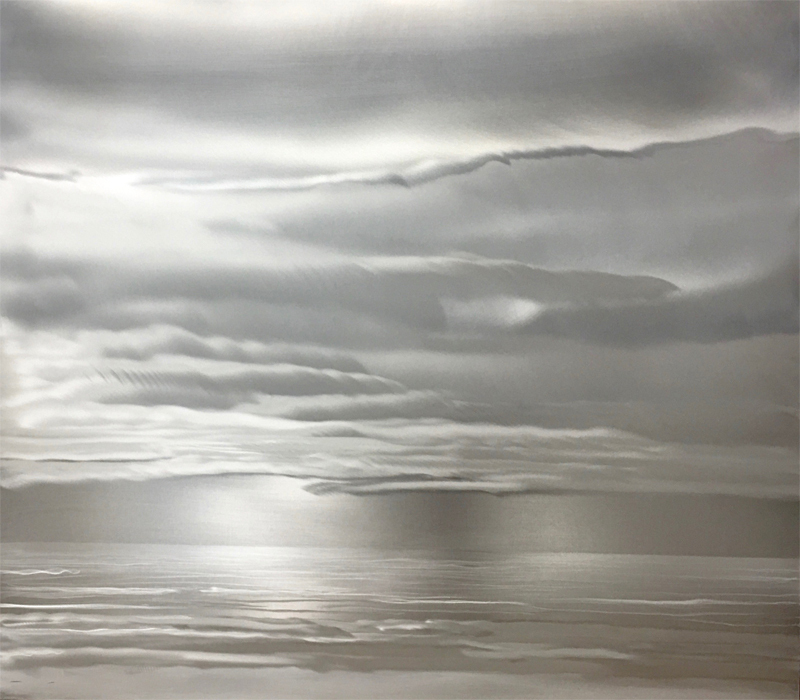 Using translucent paint over his spun aluminum designs to enhance reflected light, Homer is able to create pieces that visually take on an almost kinetic like movement. 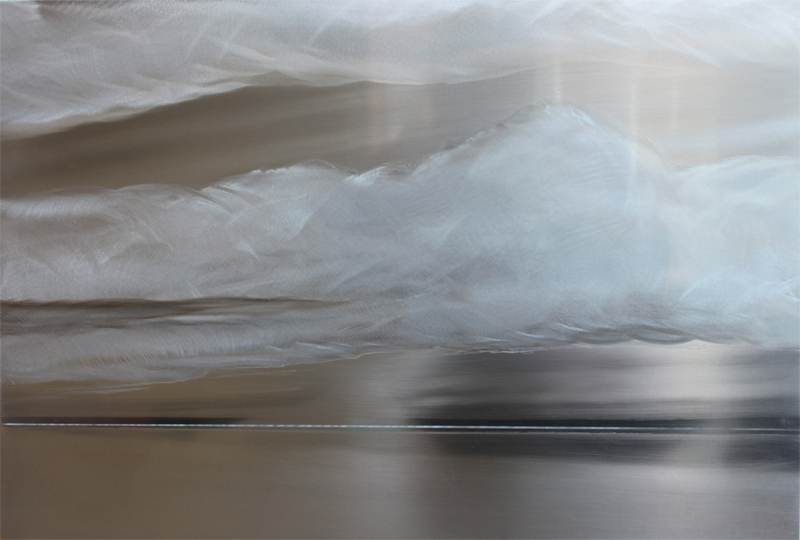 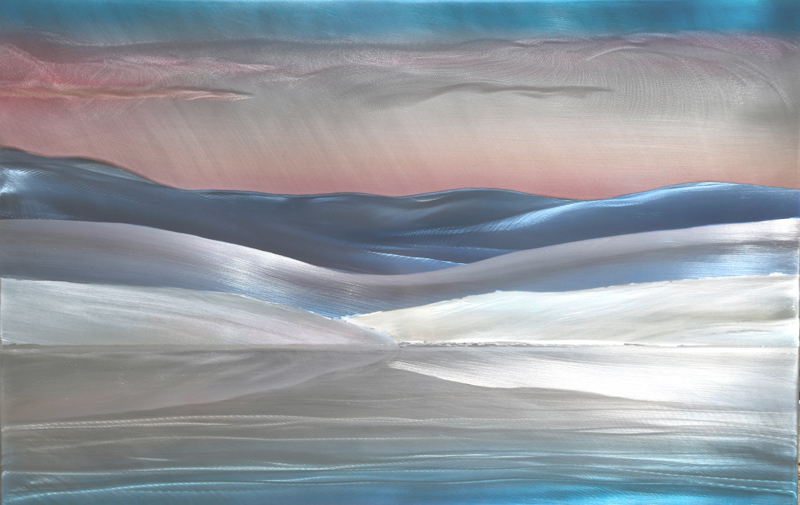 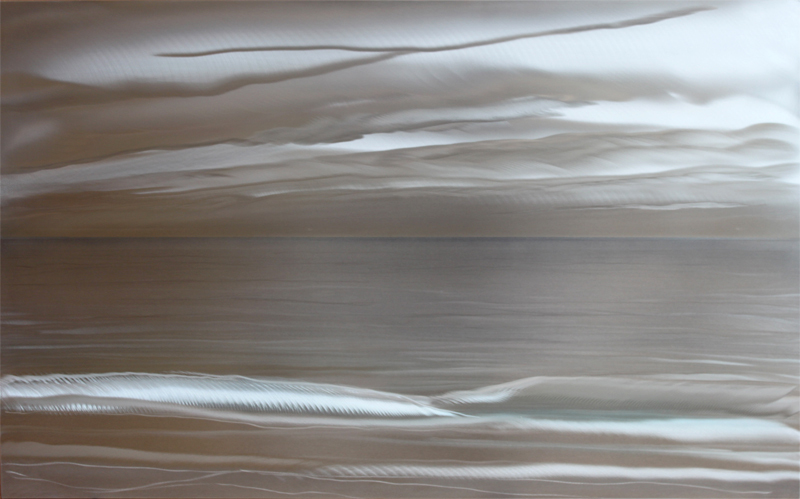 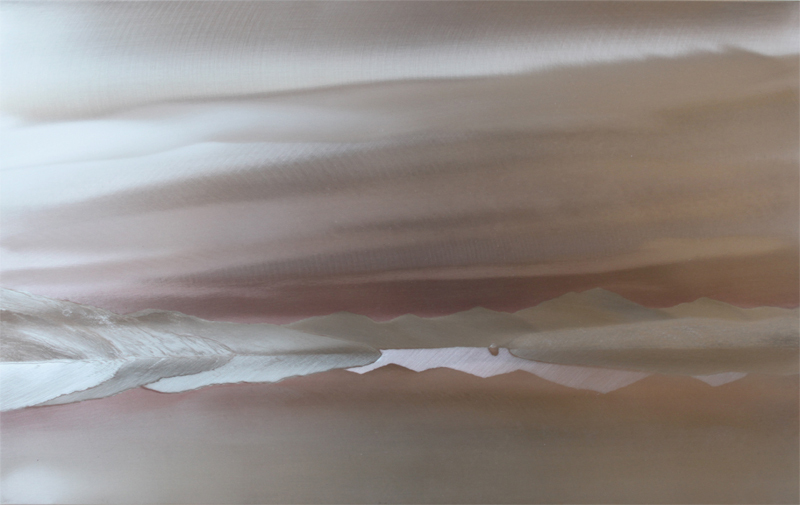 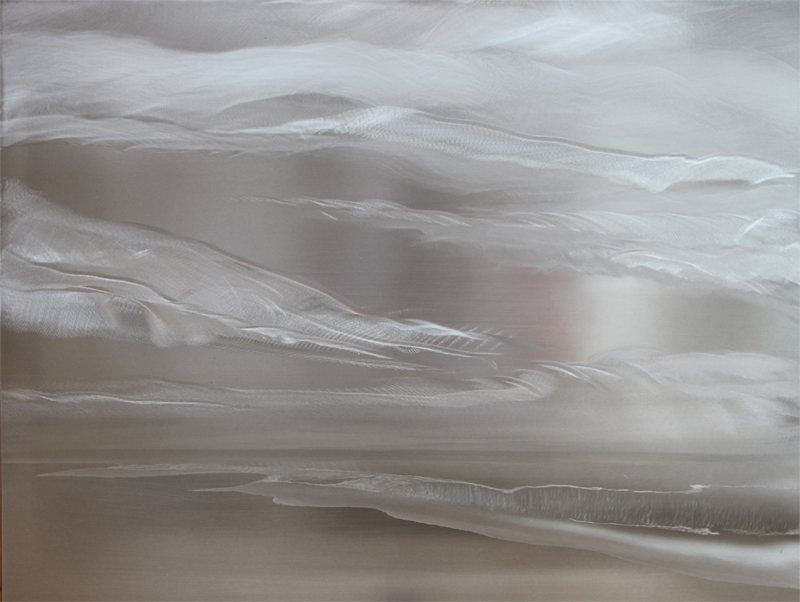 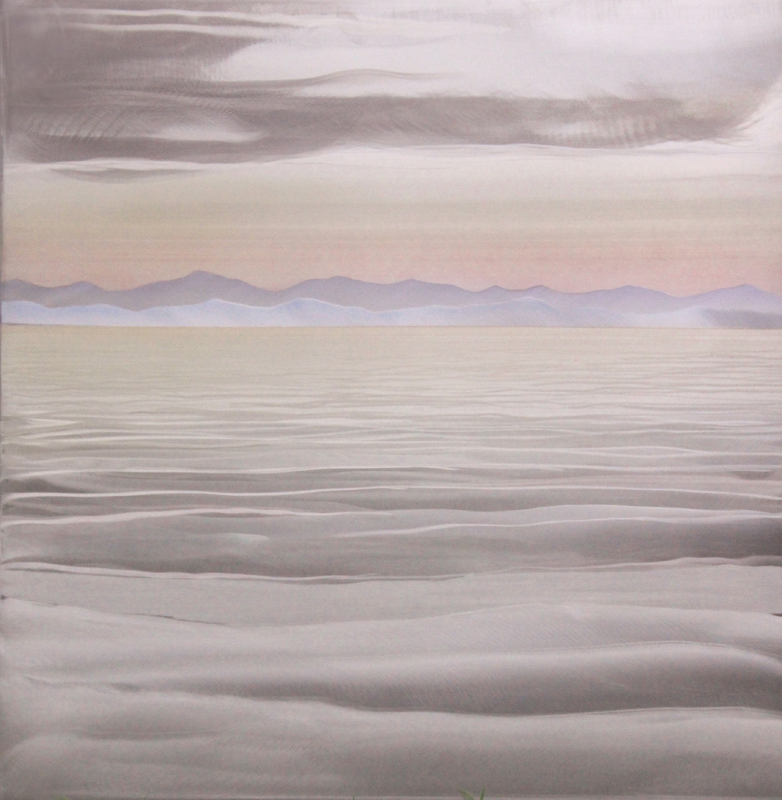 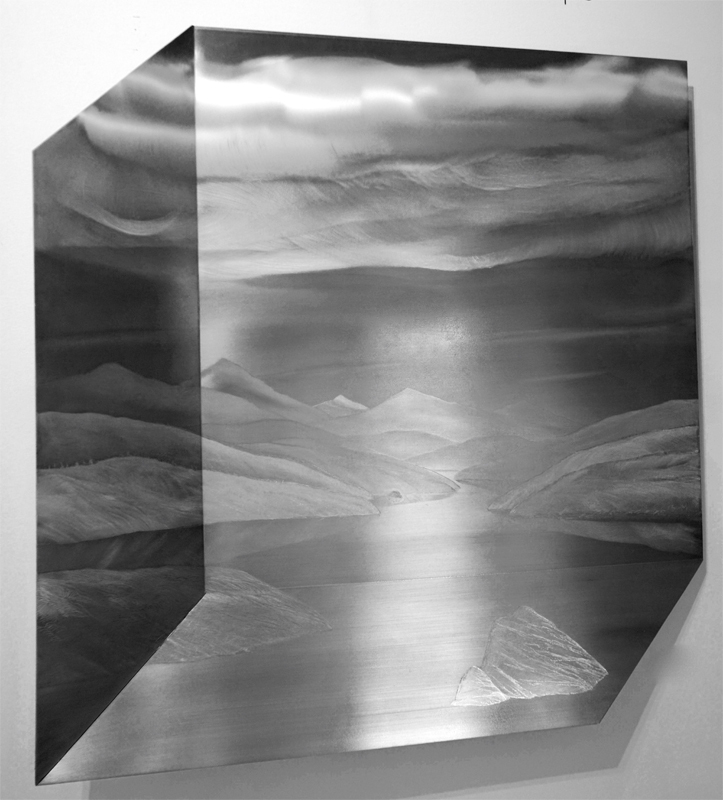 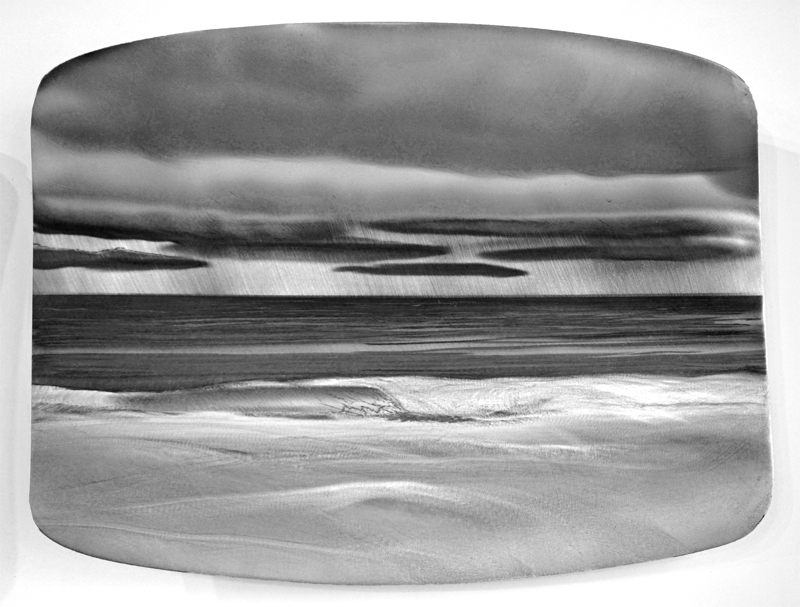 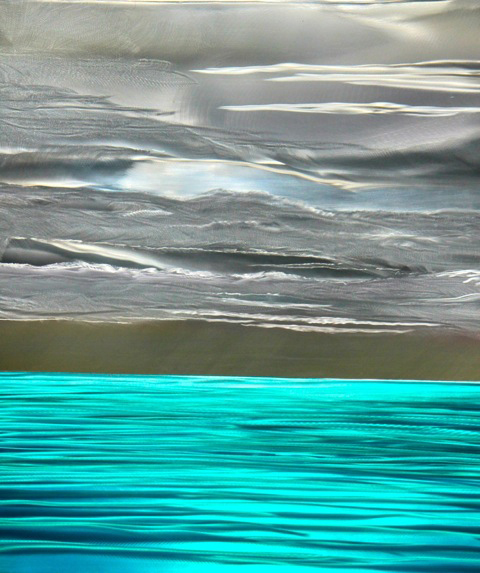 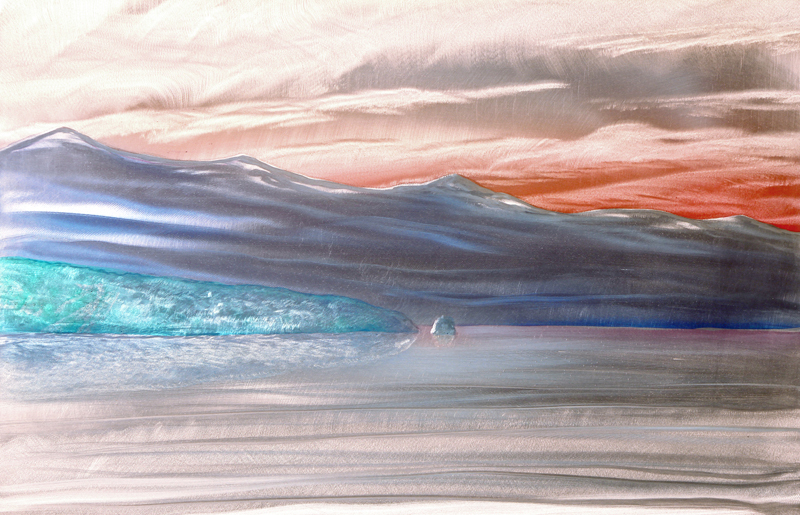 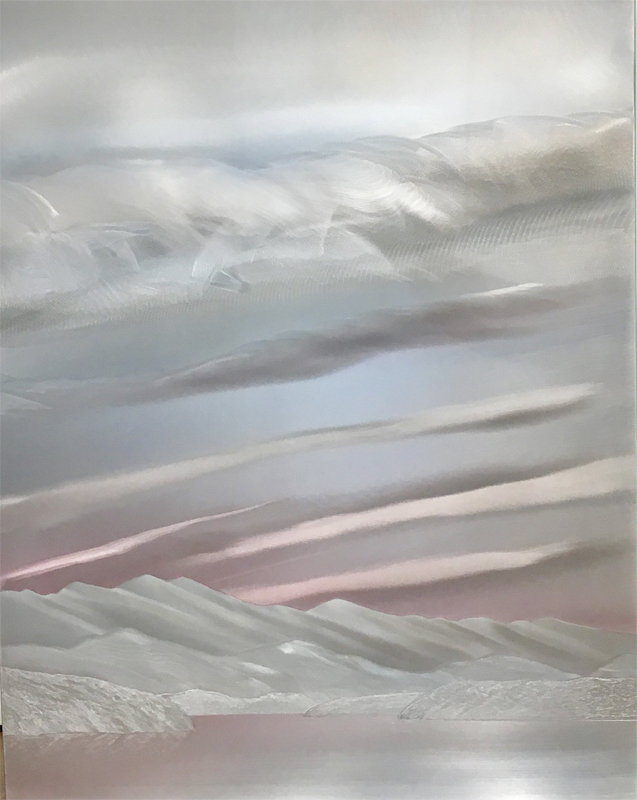 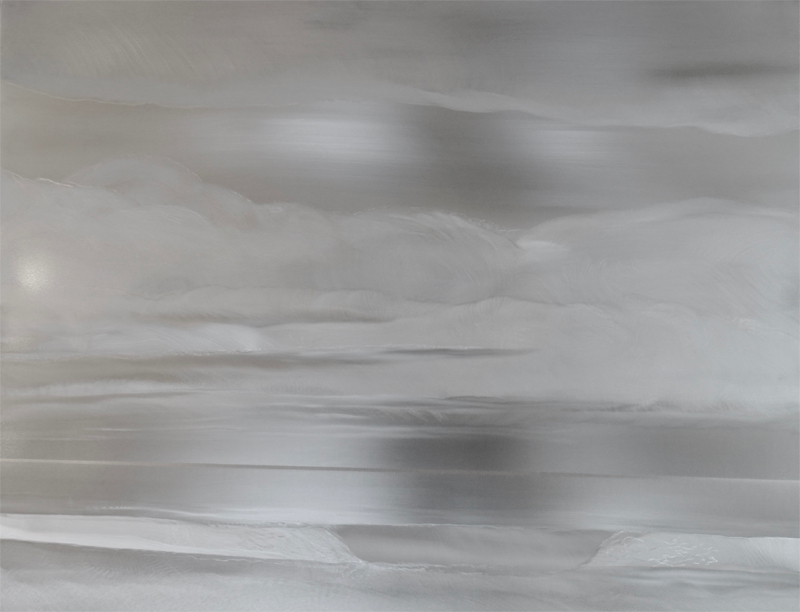 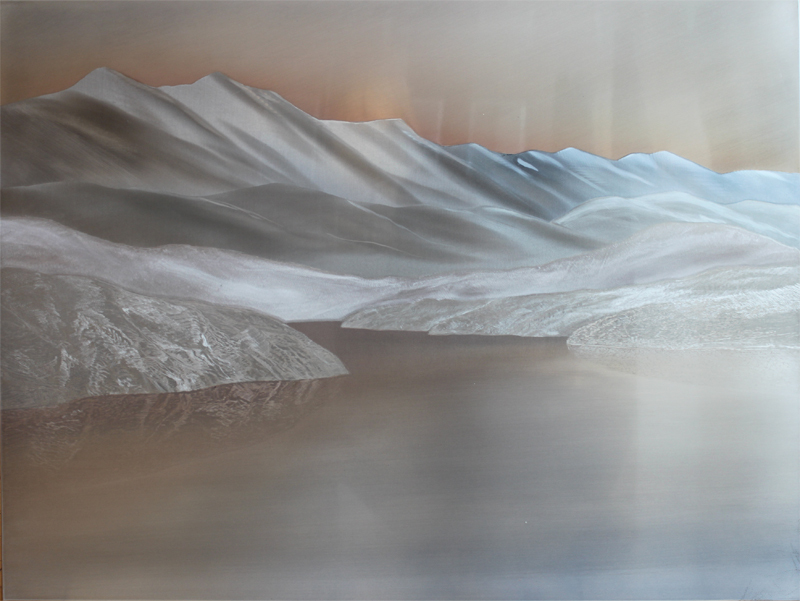 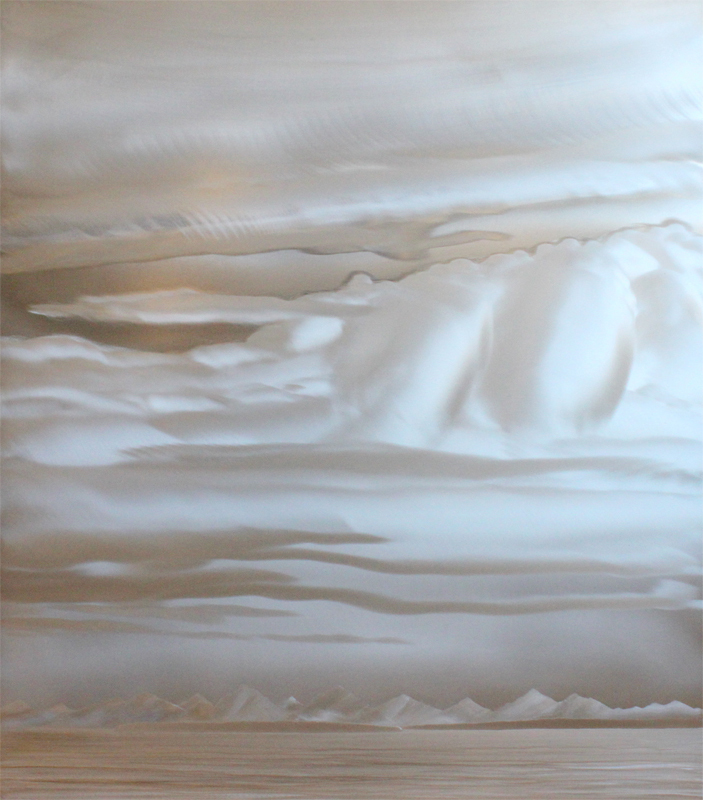 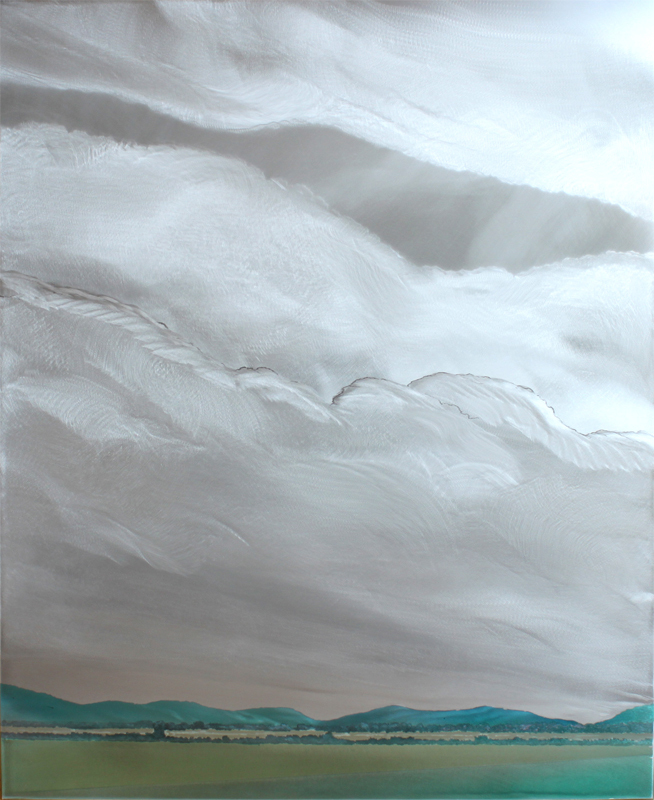 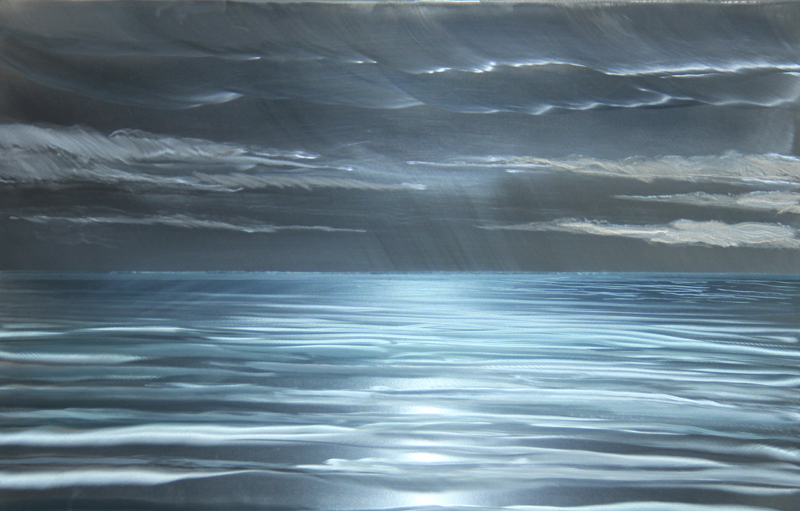 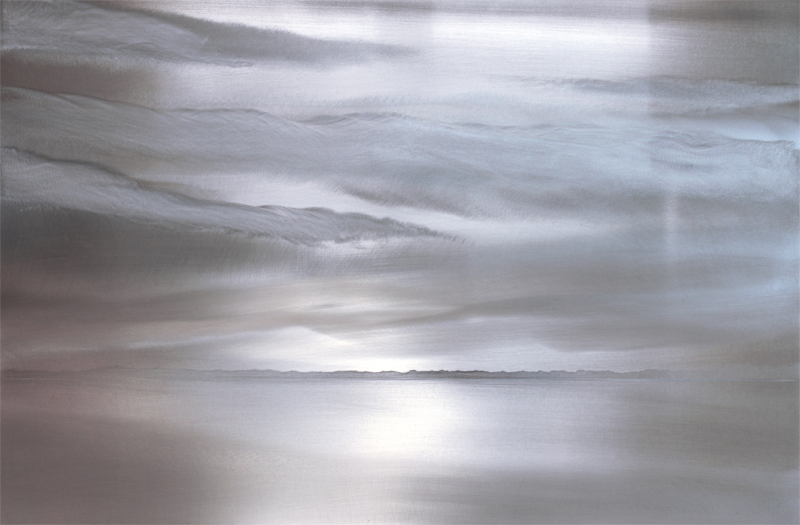 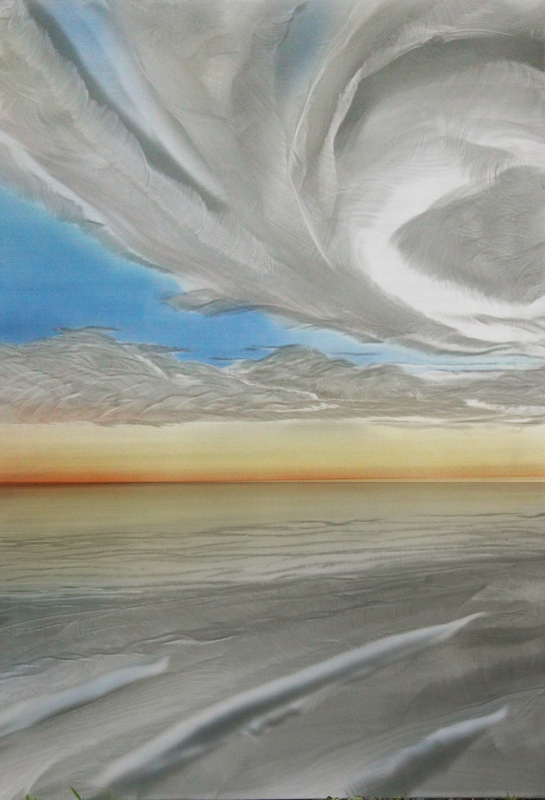 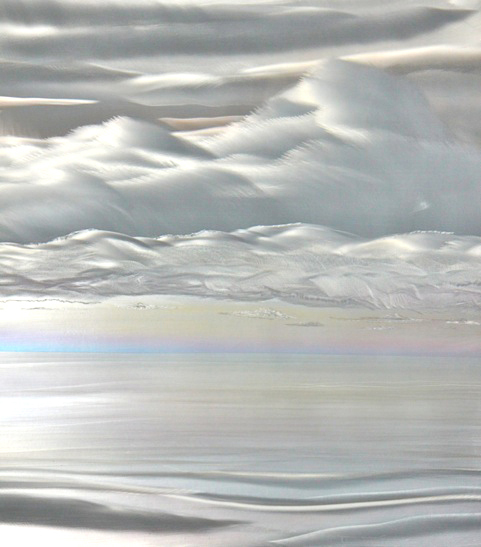 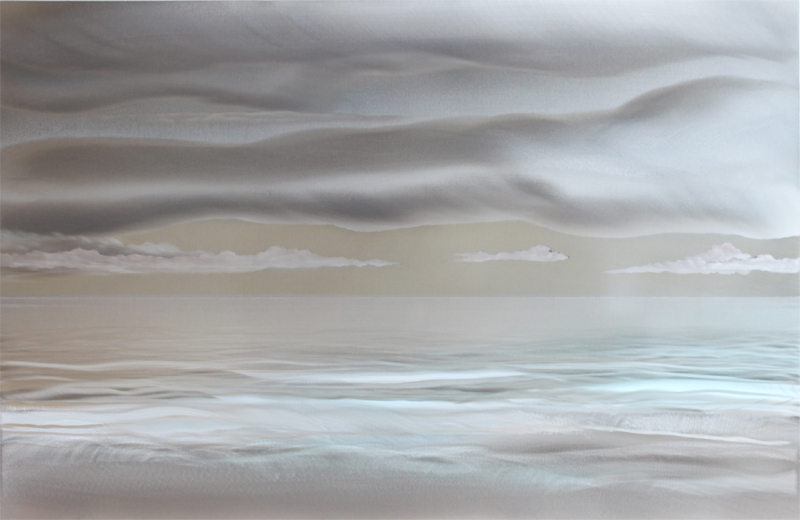 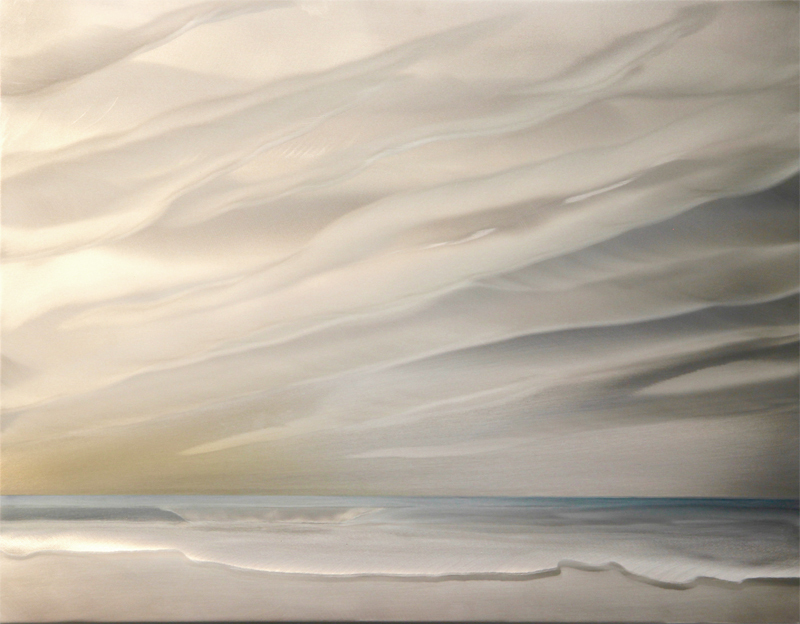 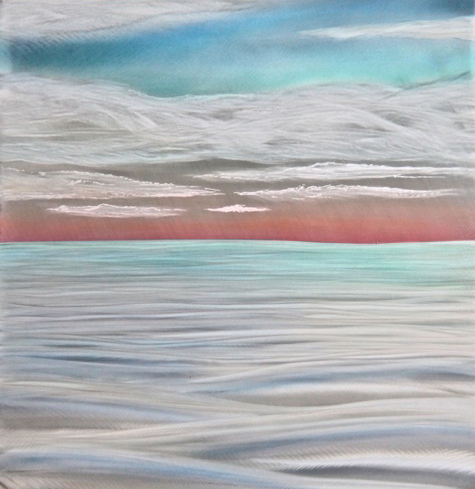 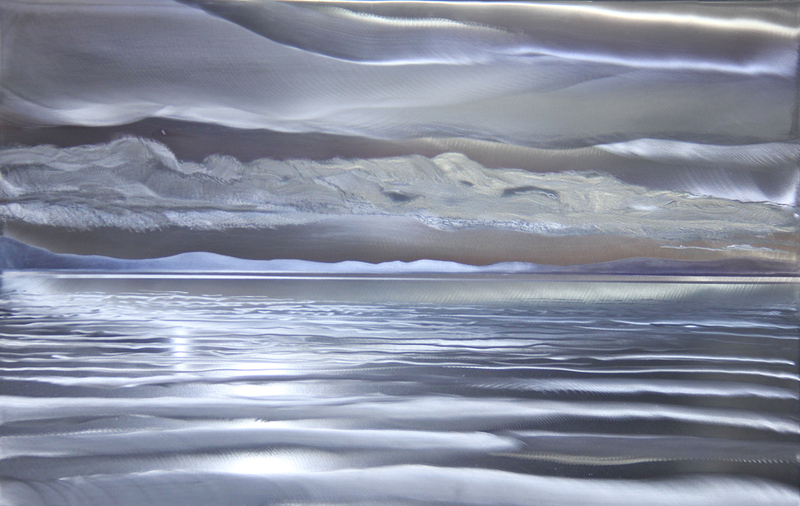 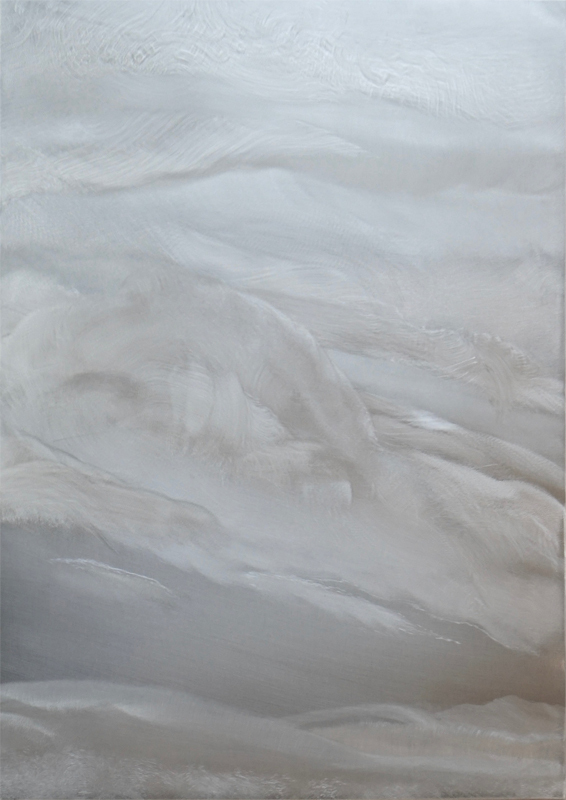 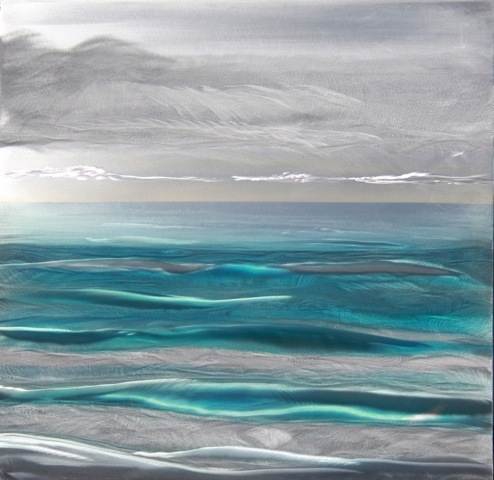 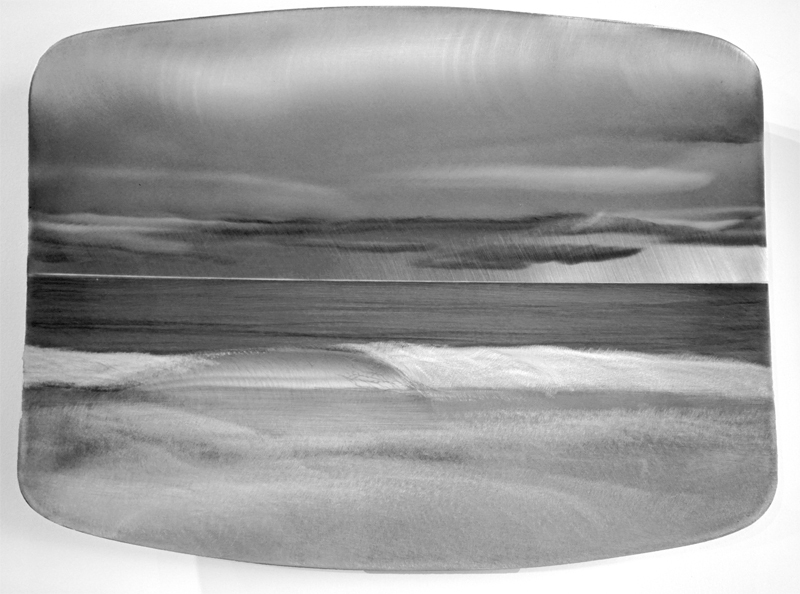 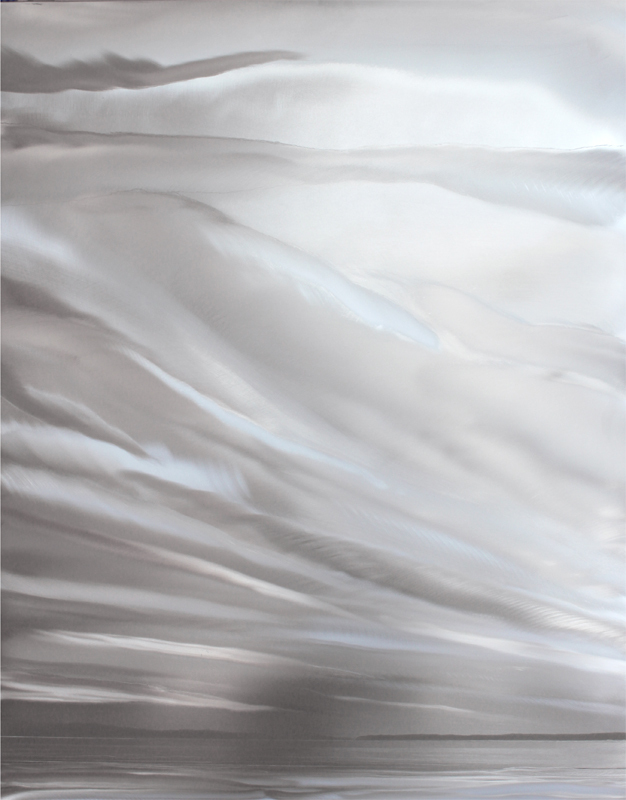 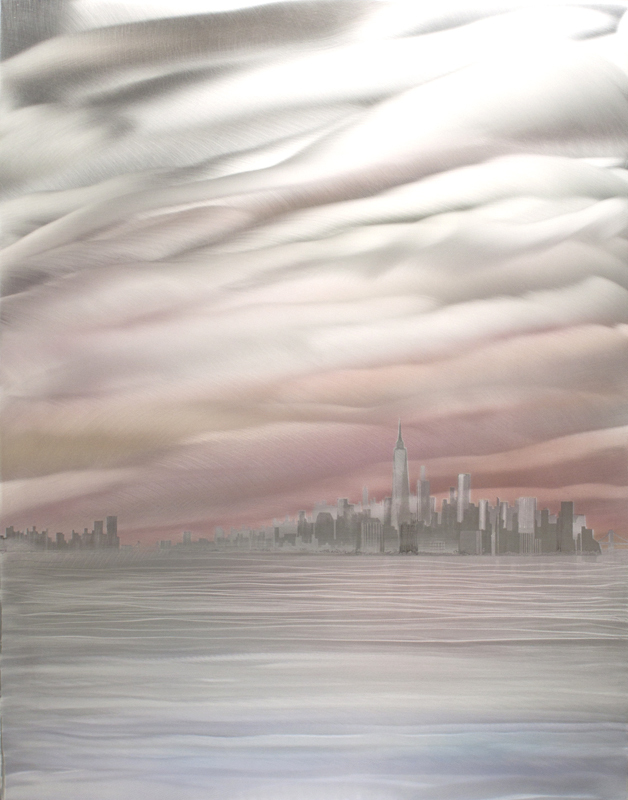 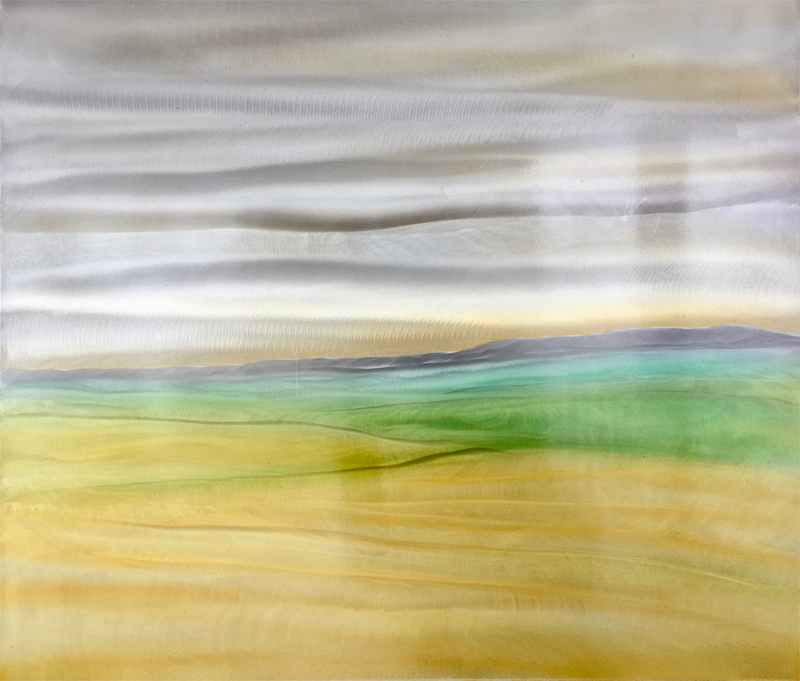 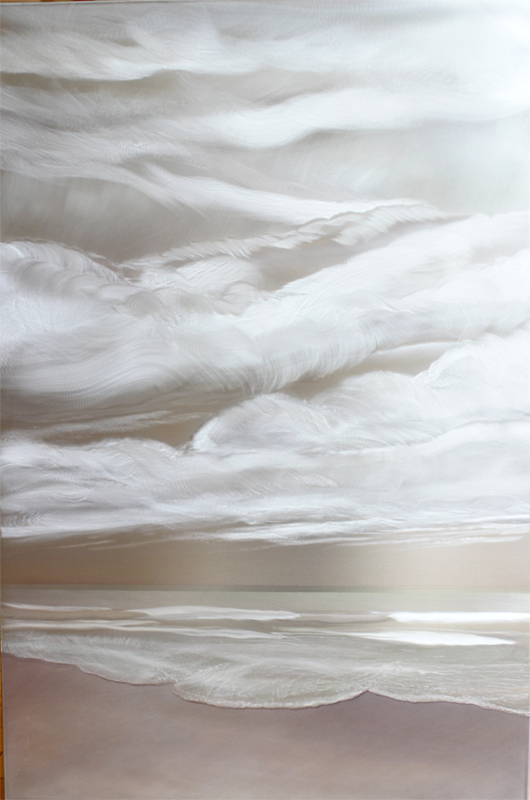 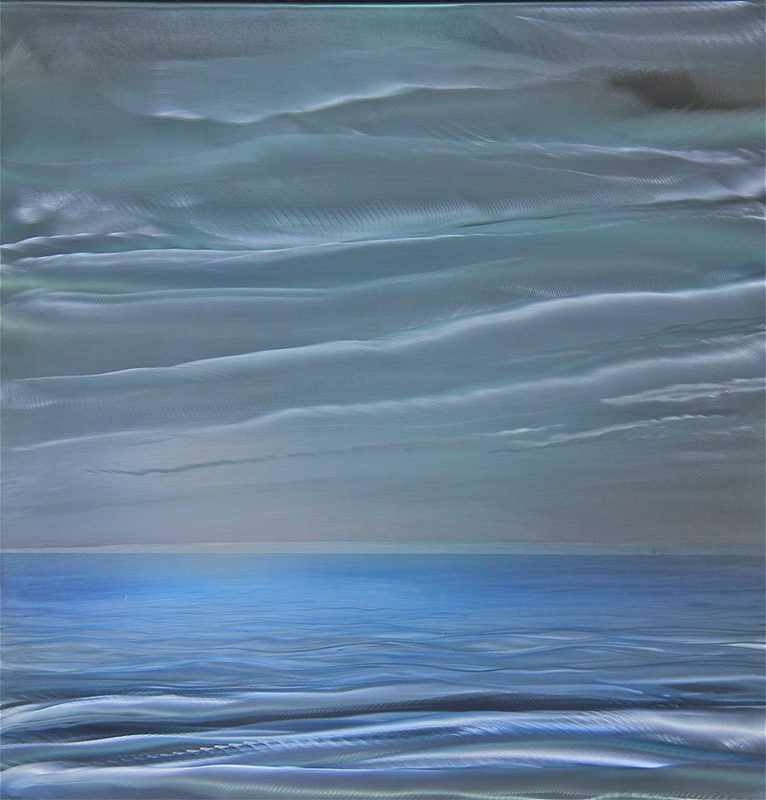 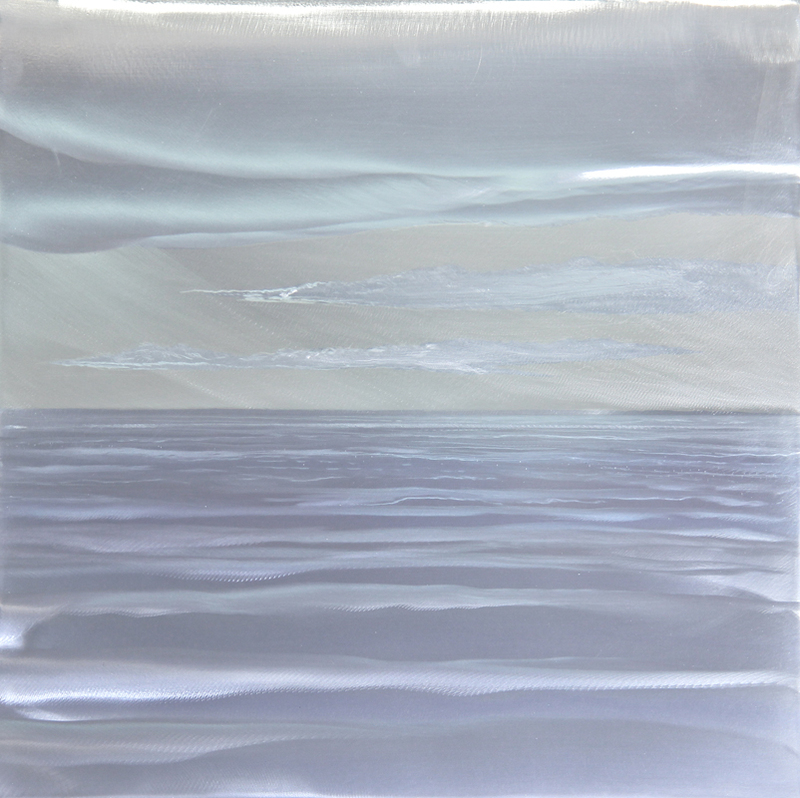 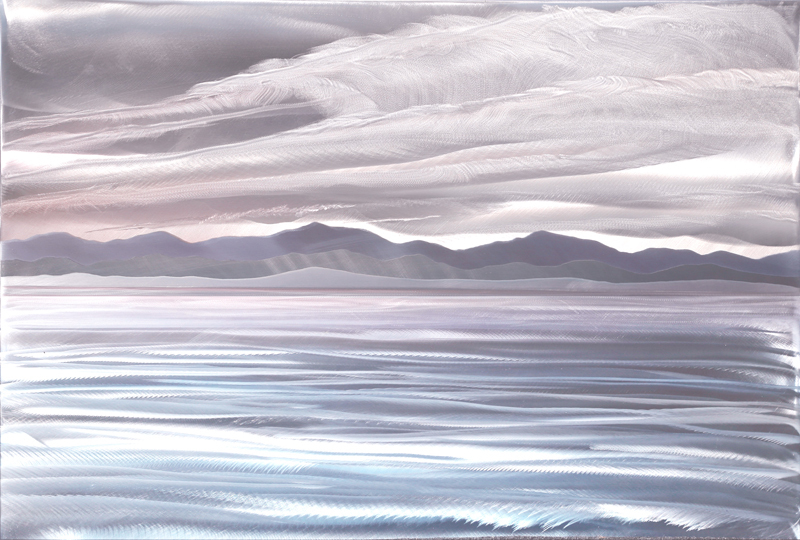 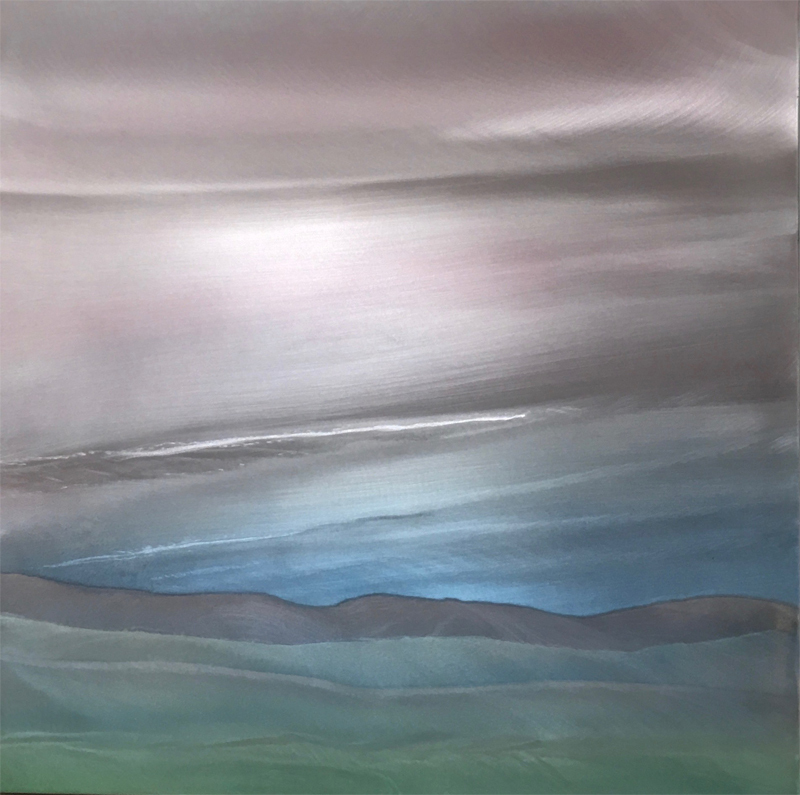 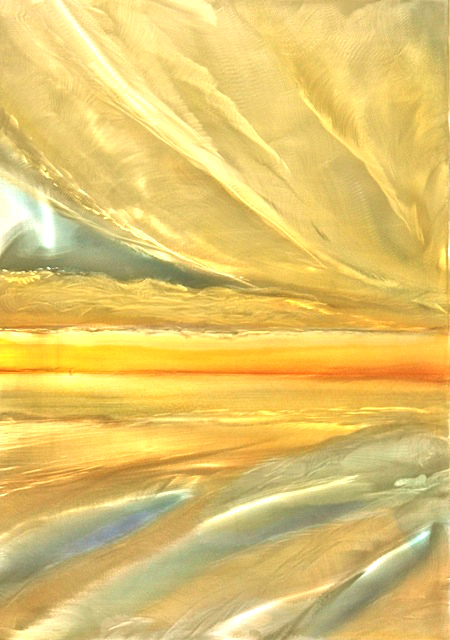 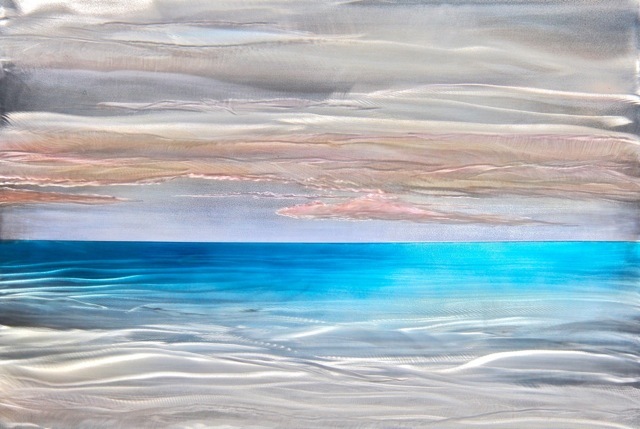 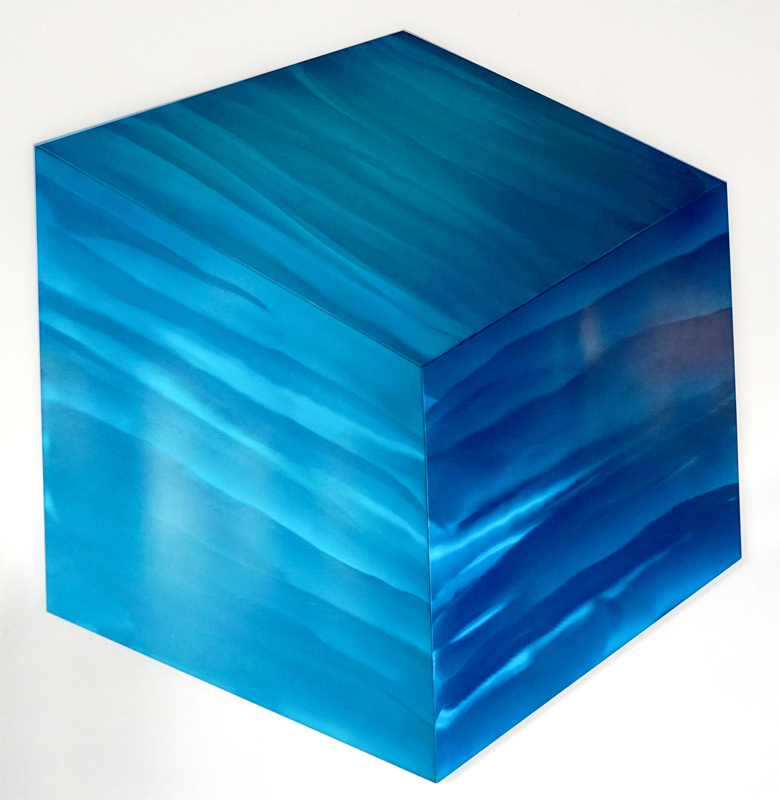 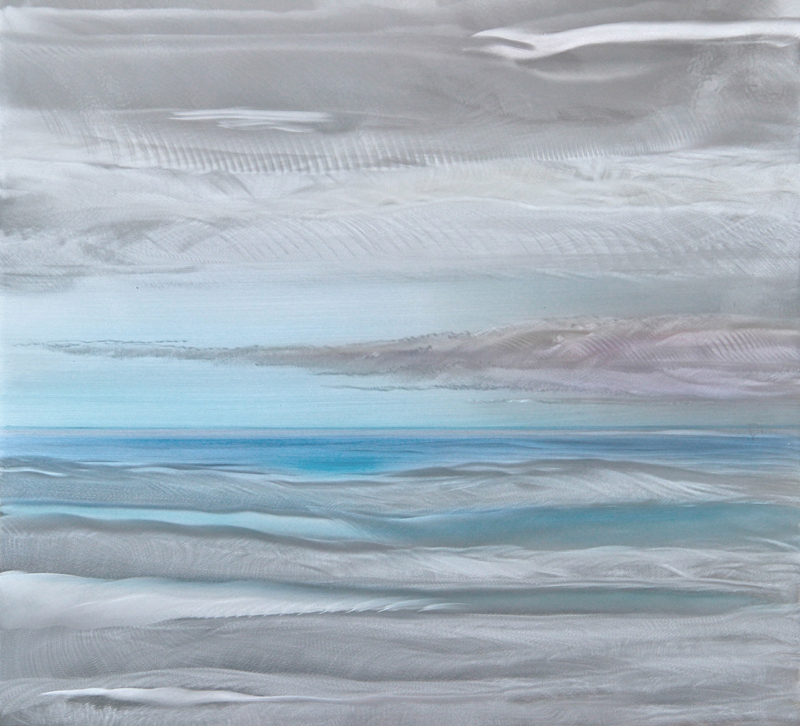 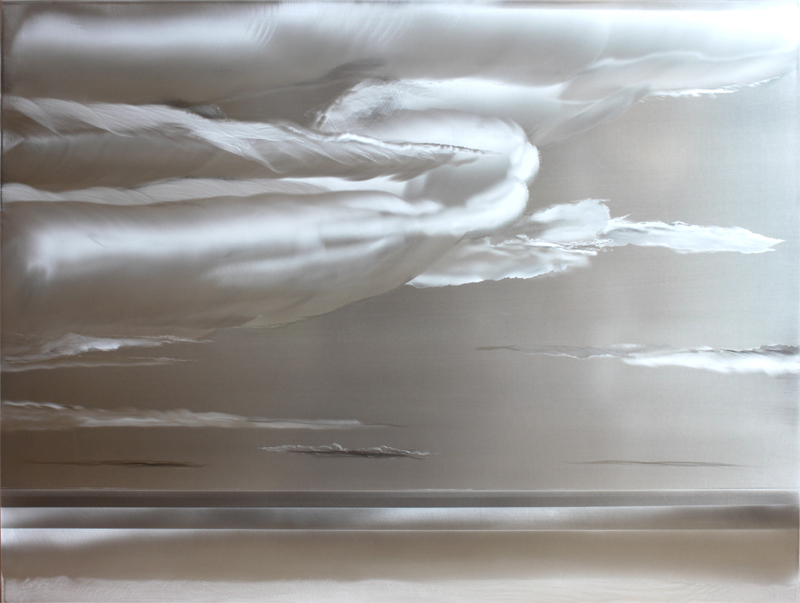 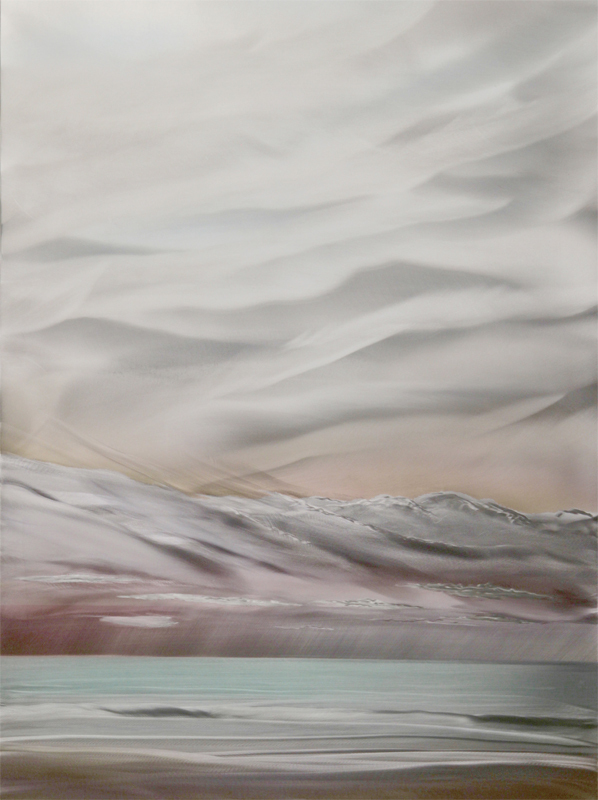 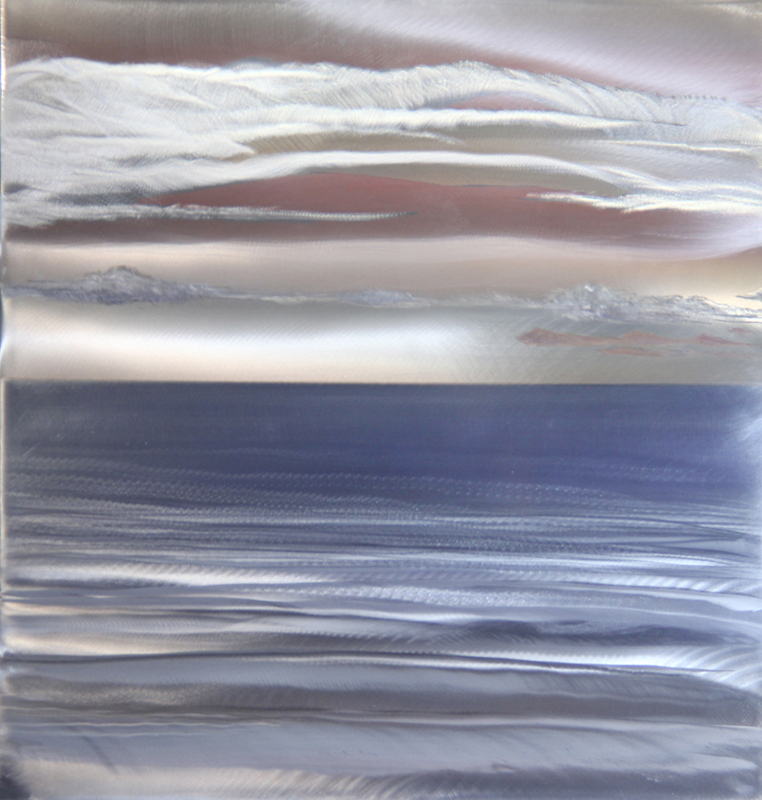 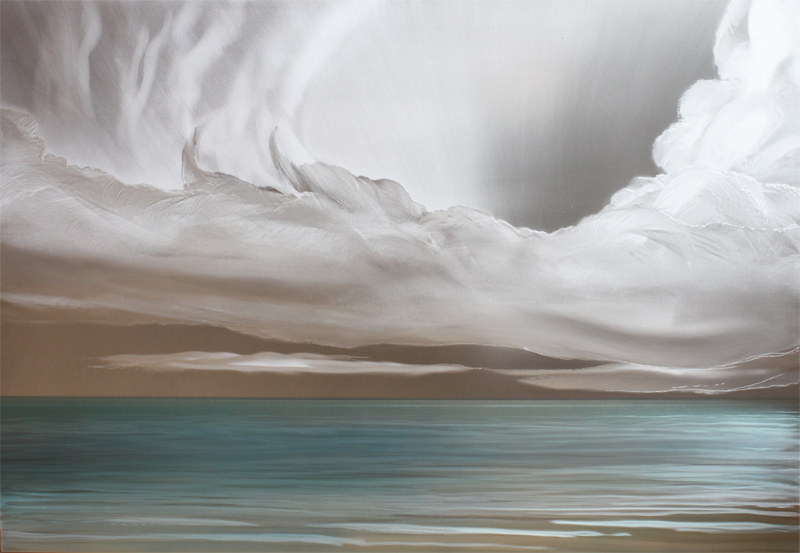 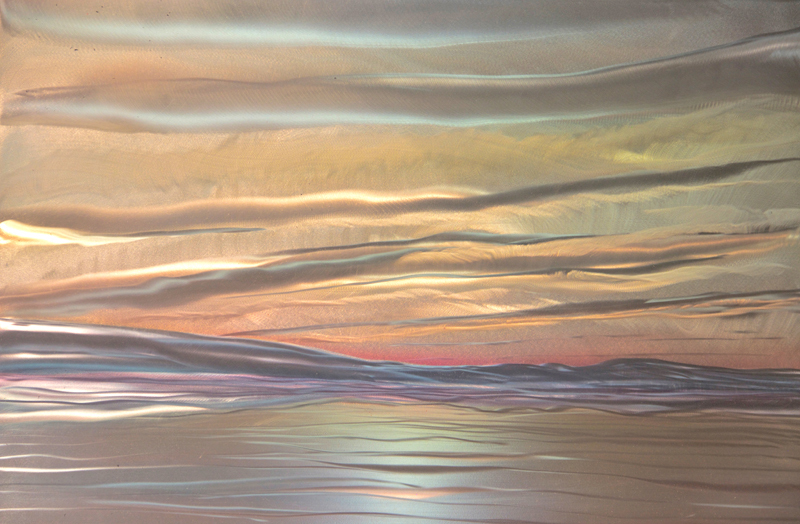 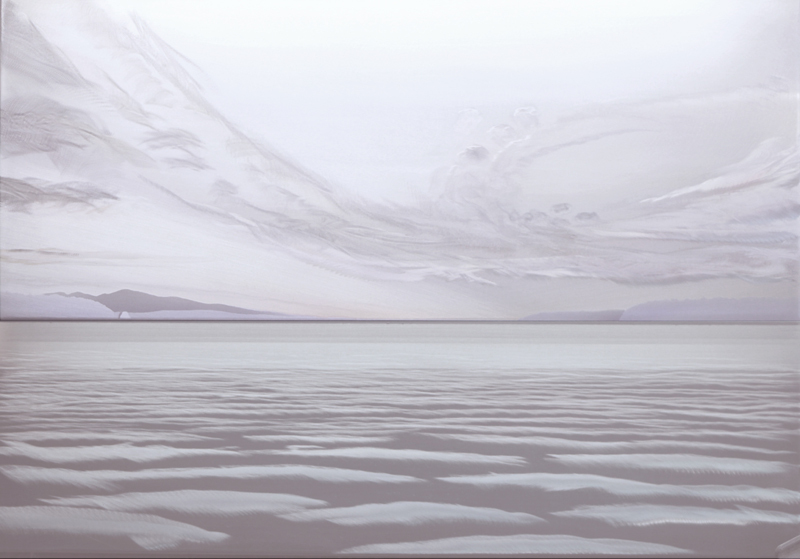 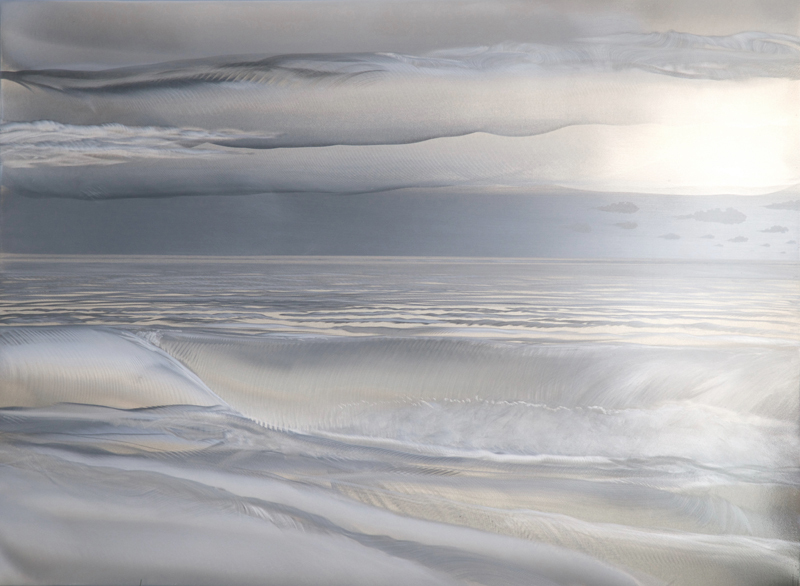 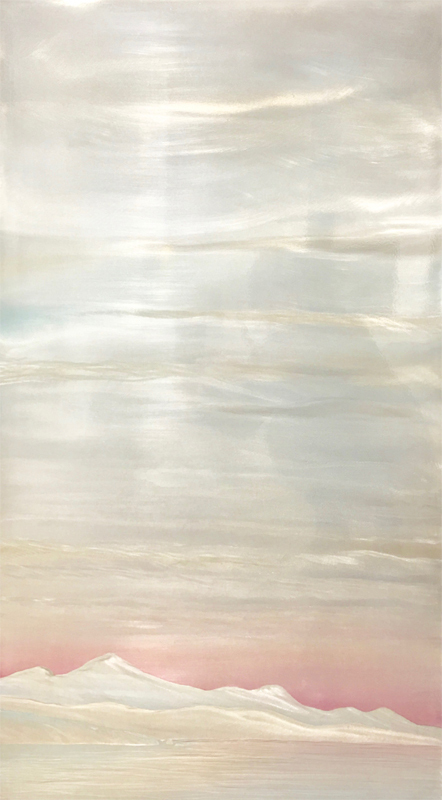 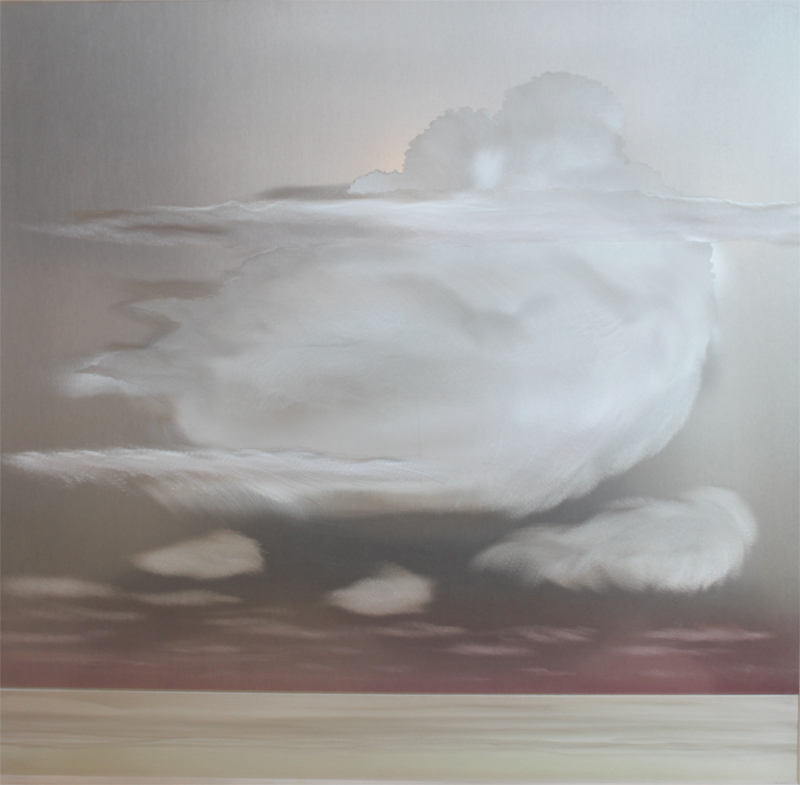 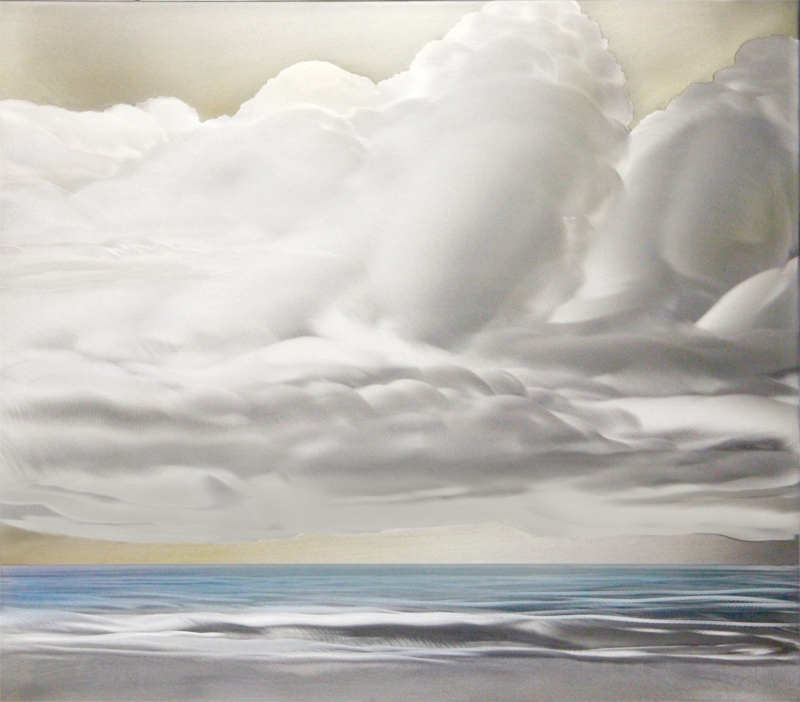 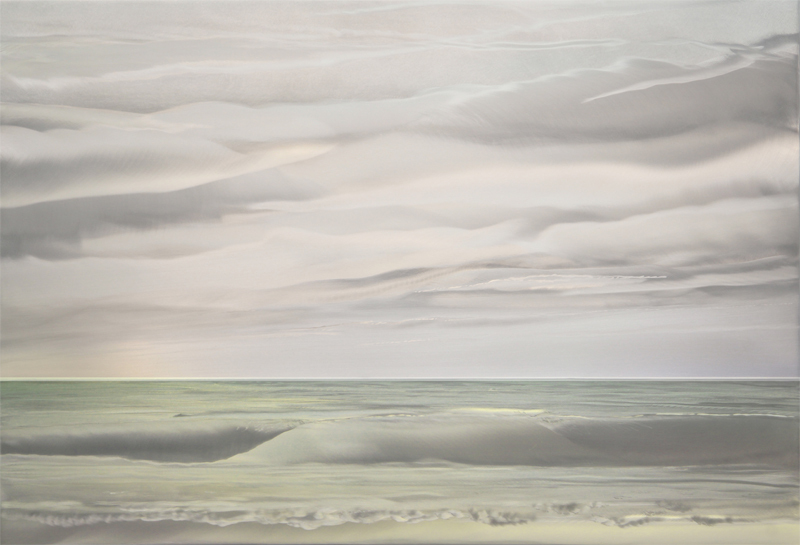 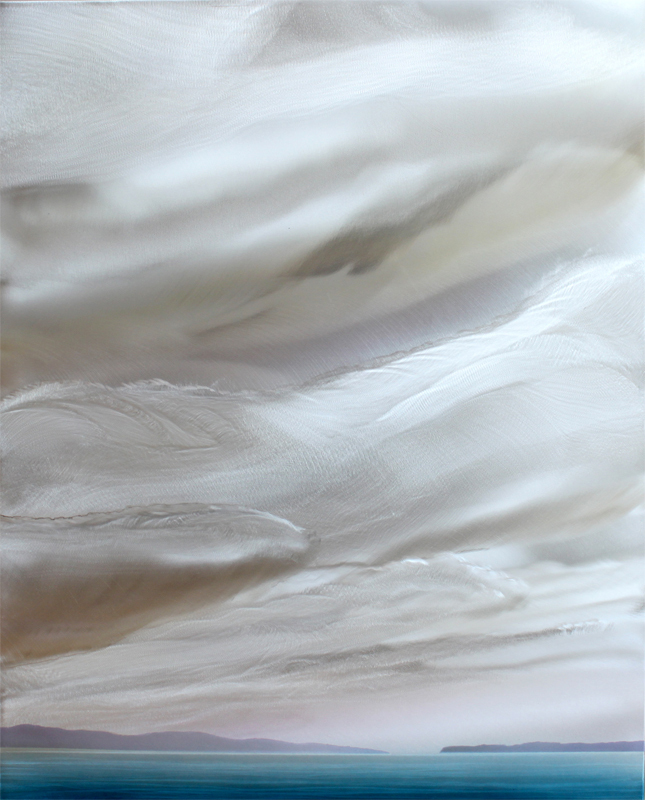 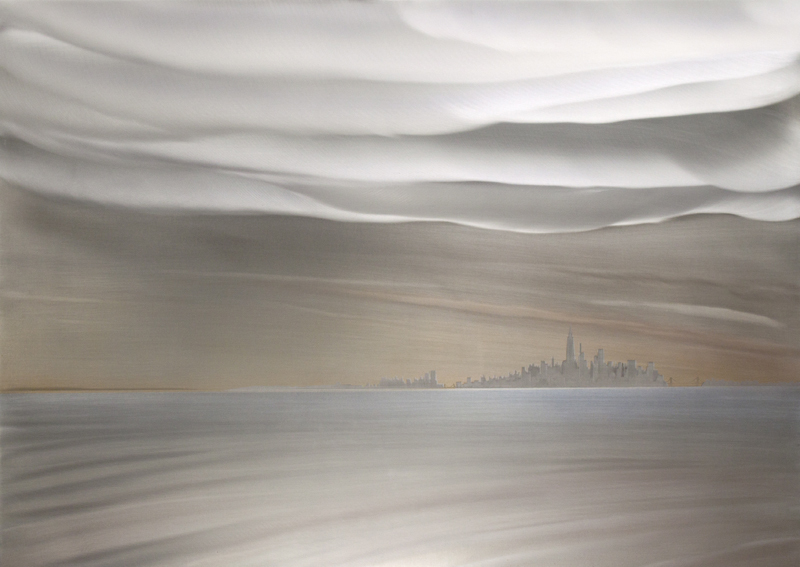 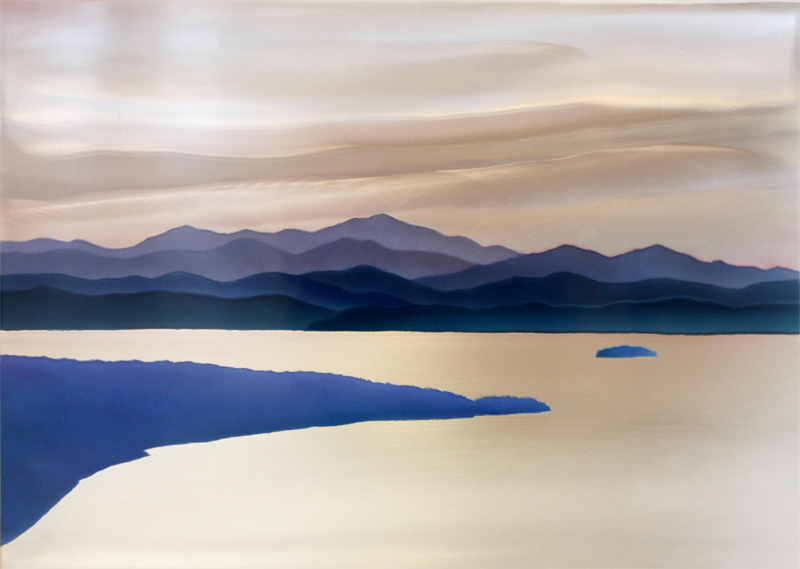 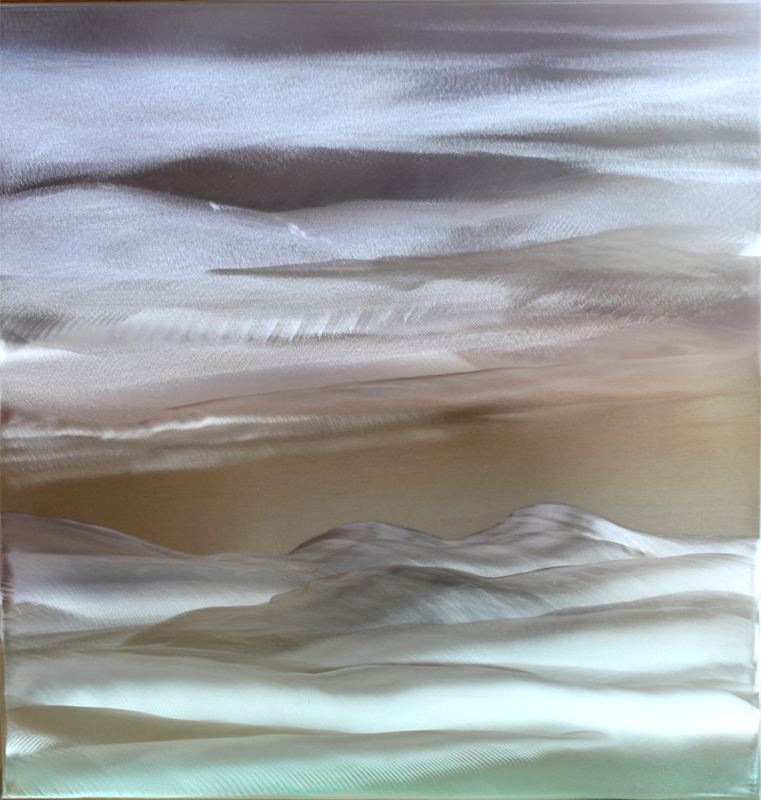 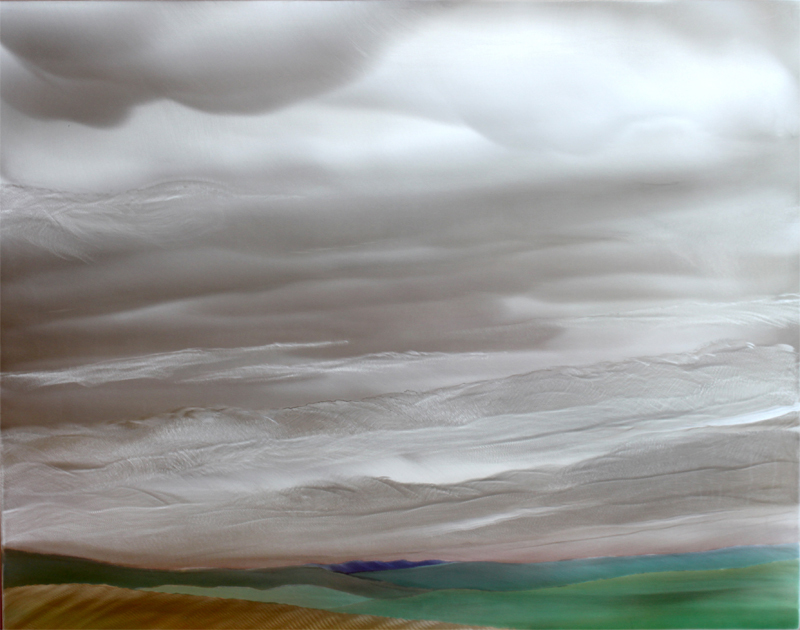 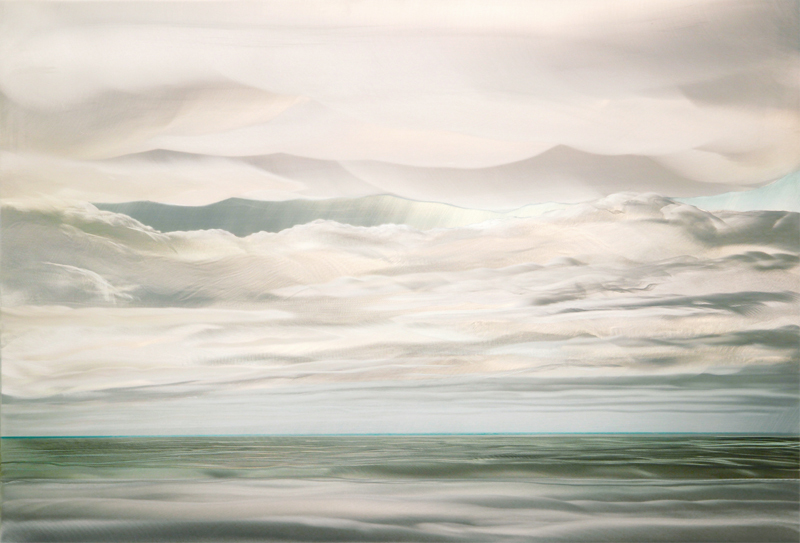 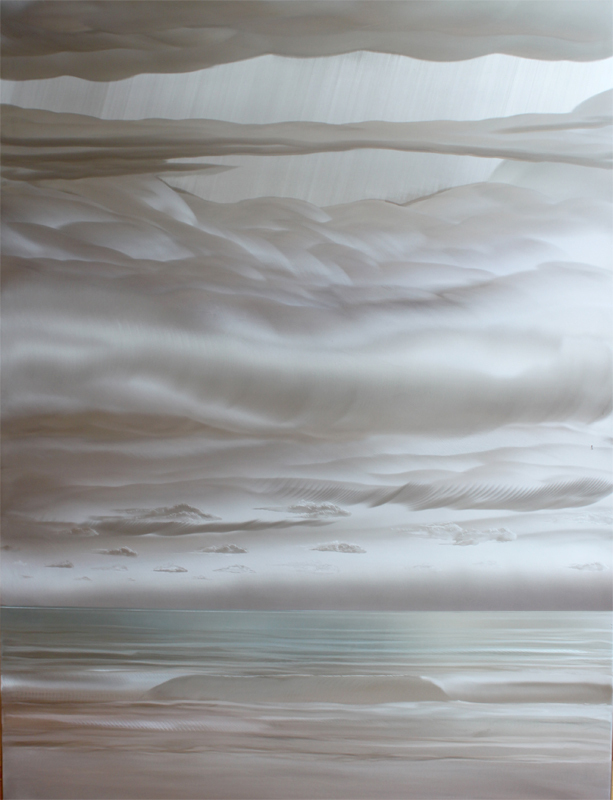 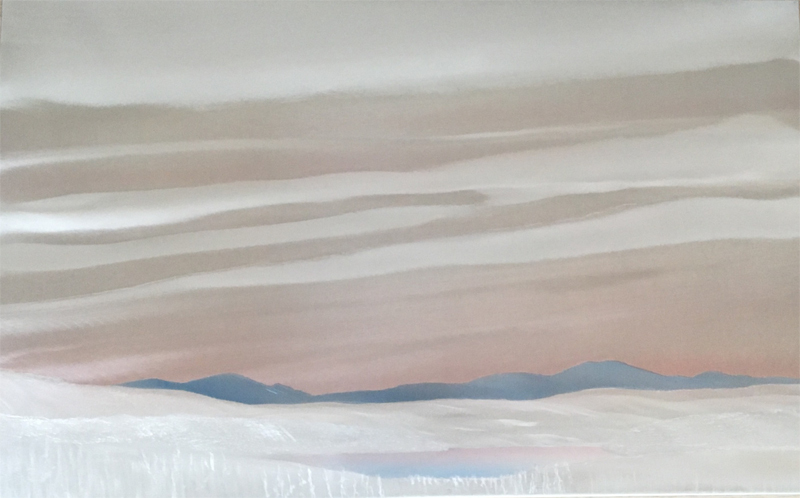 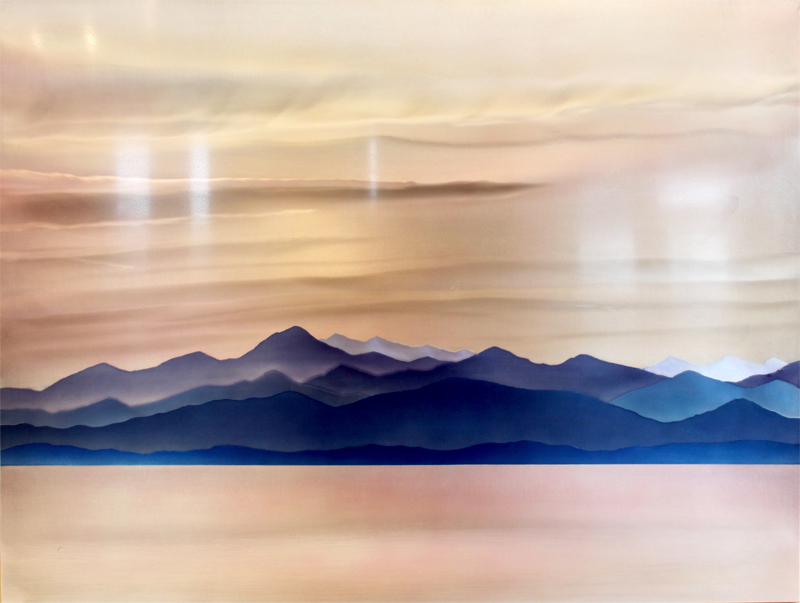 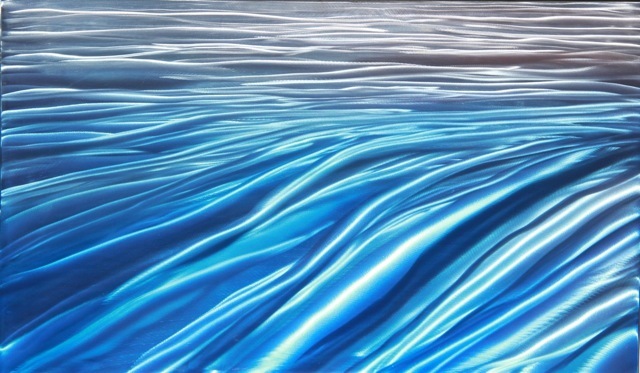 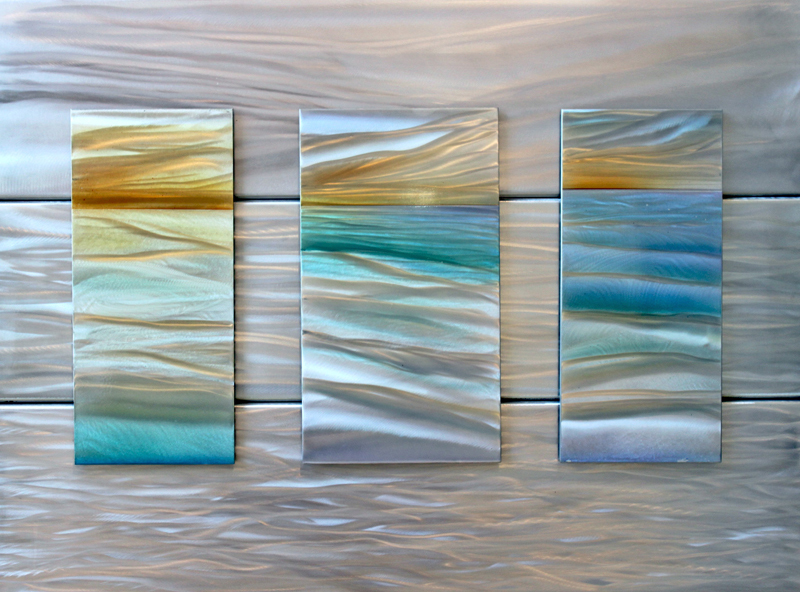 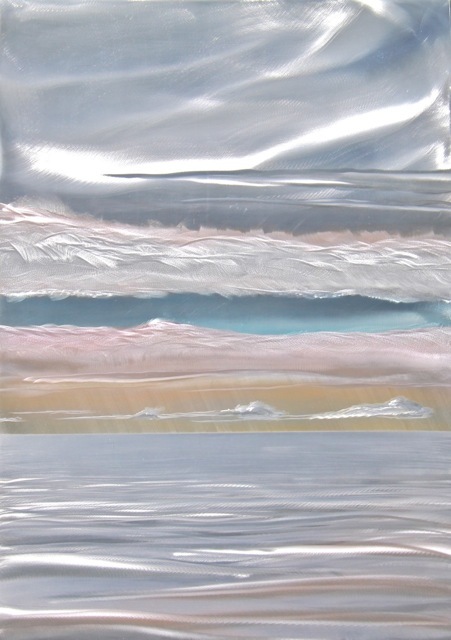 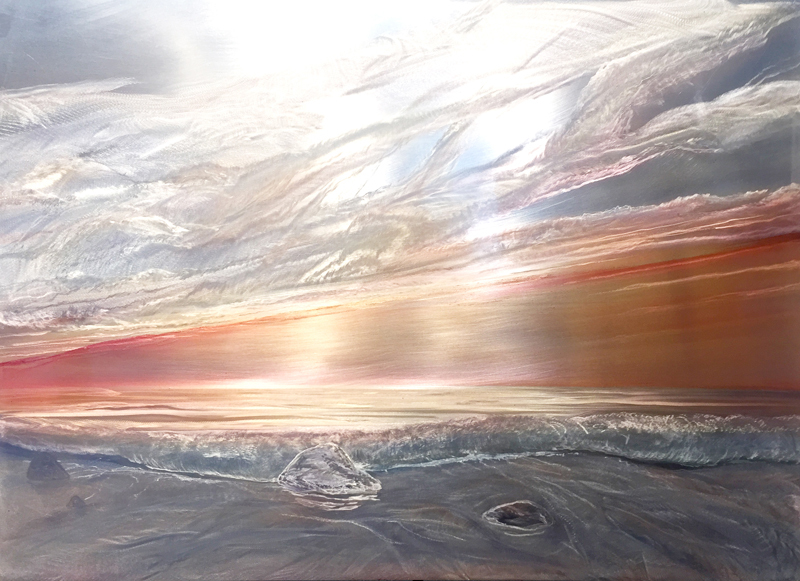 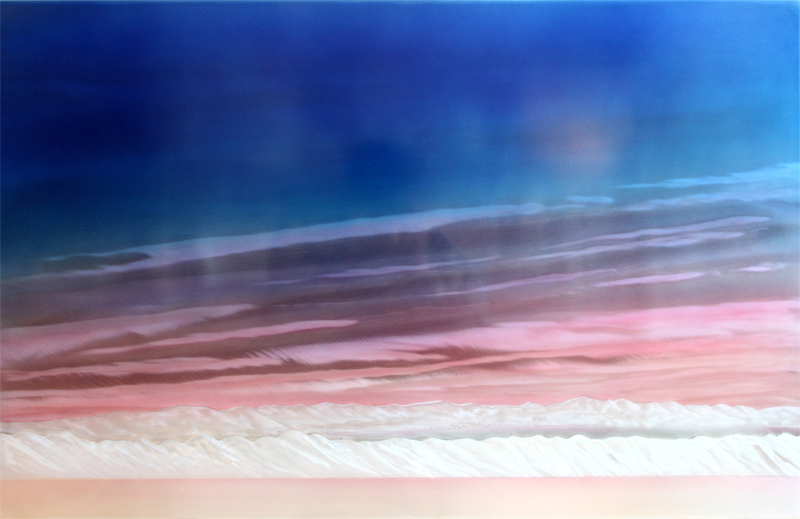 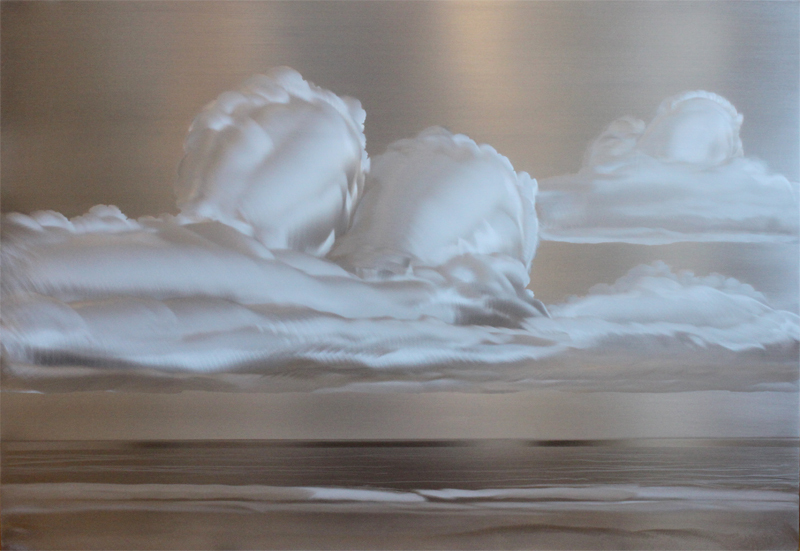 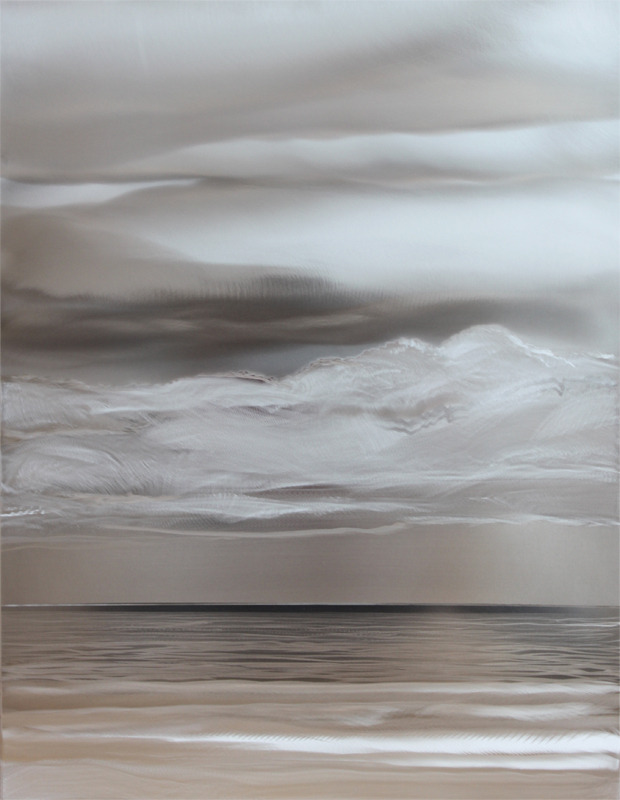 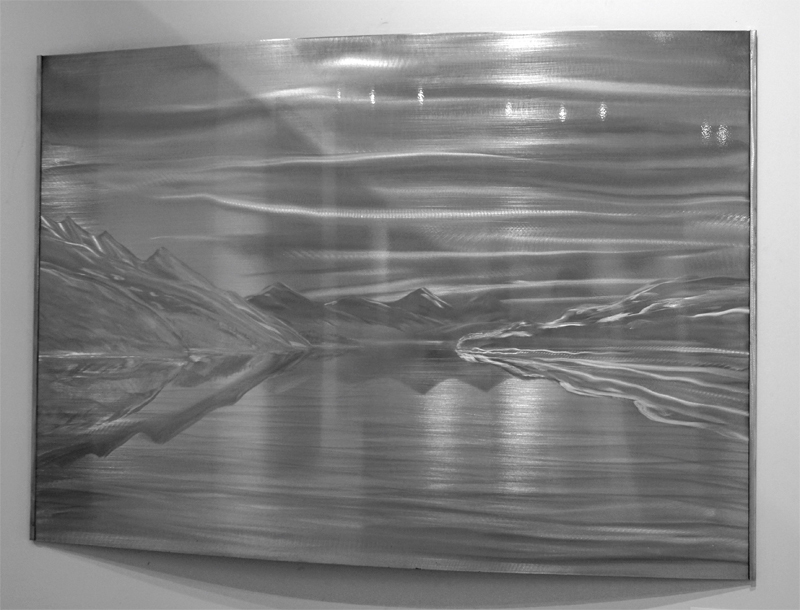 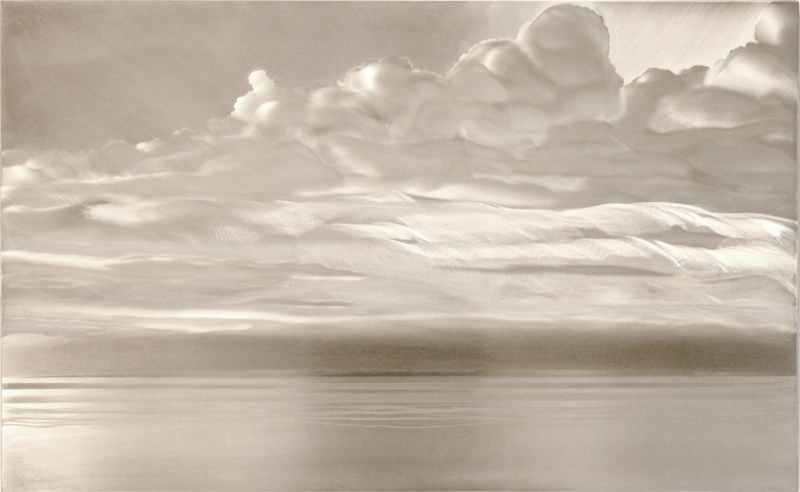 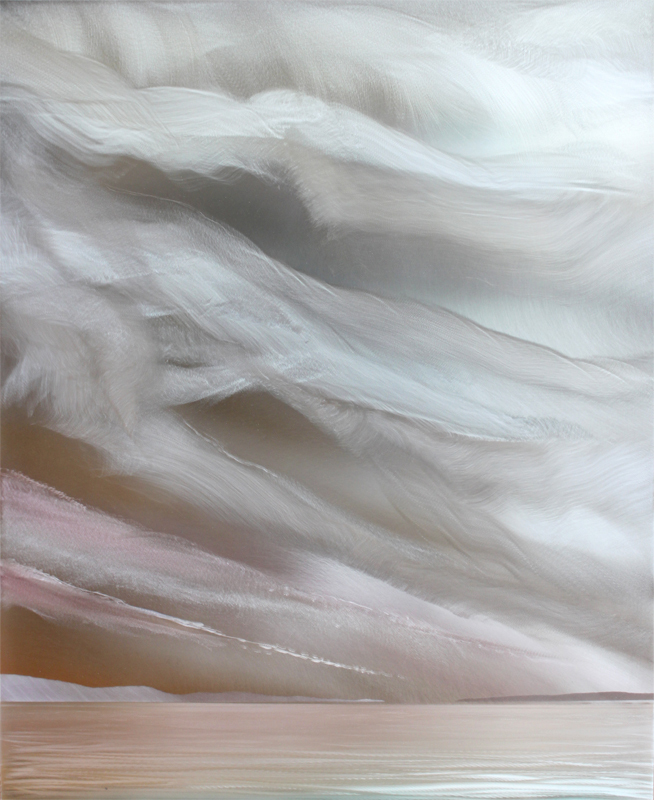 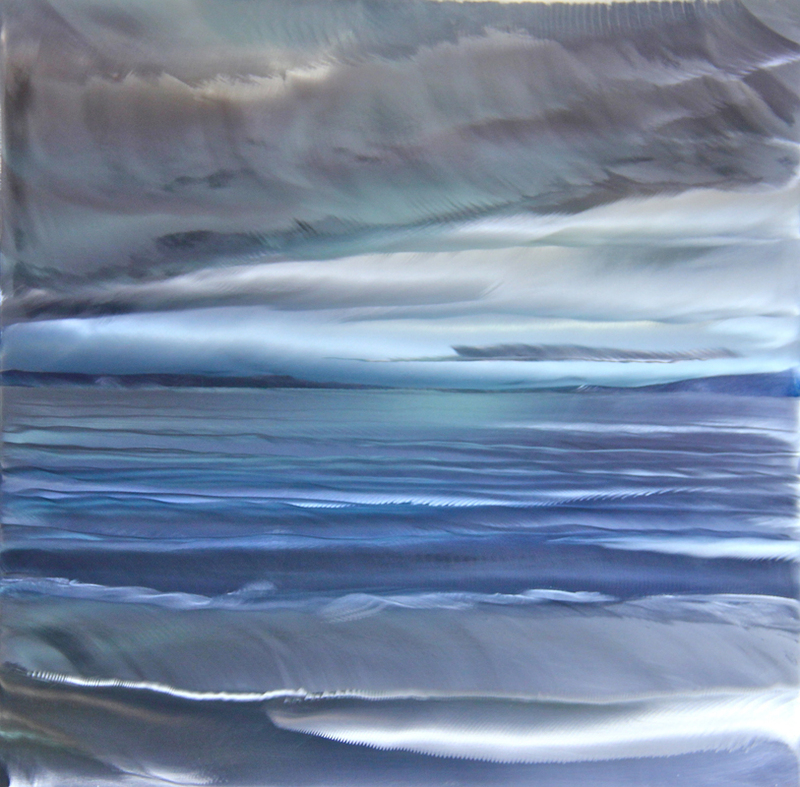 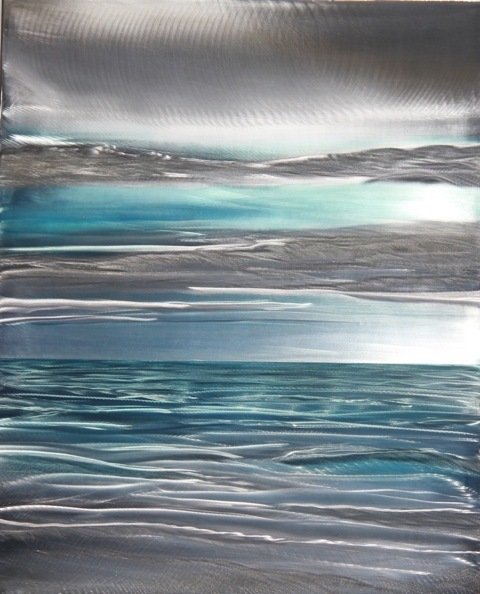 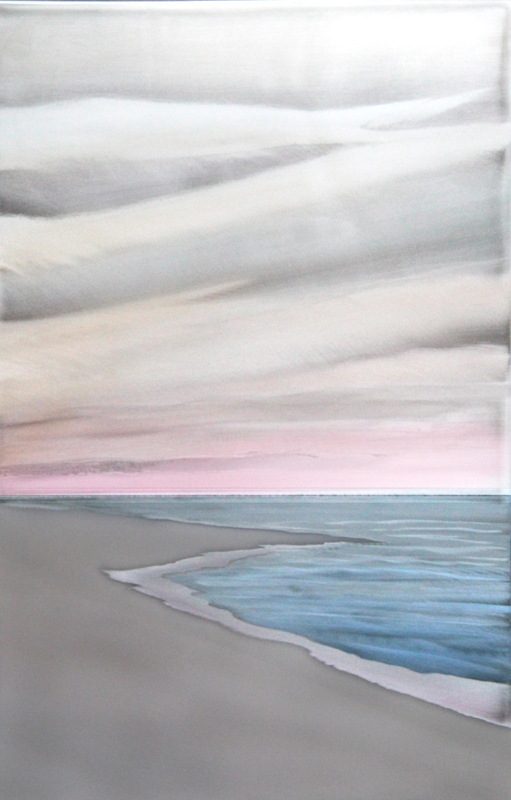 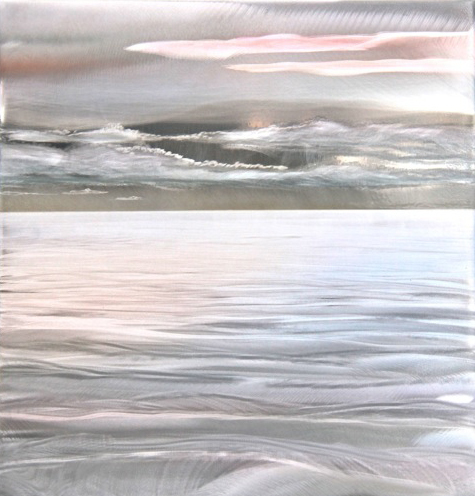 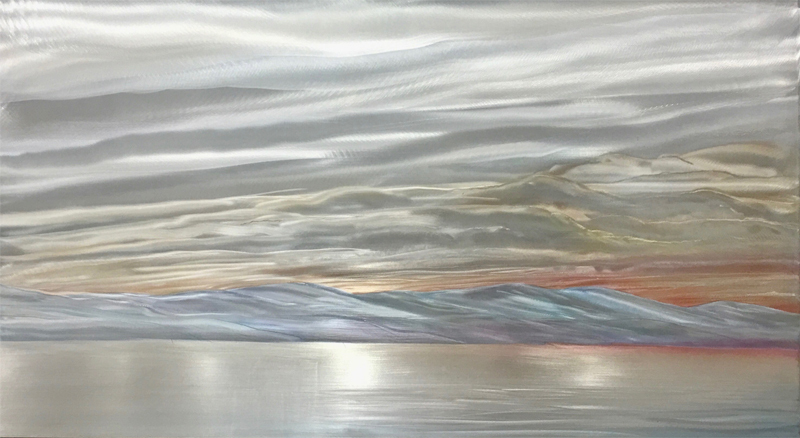 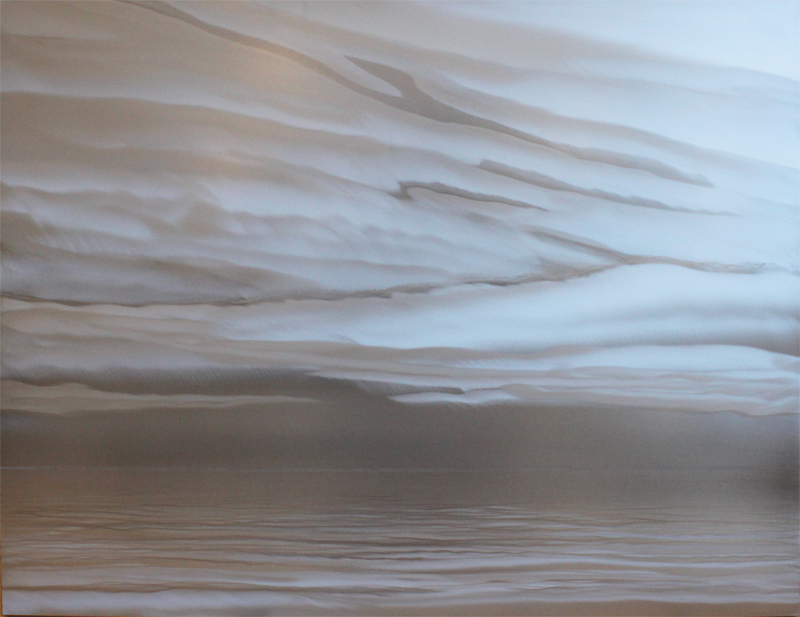 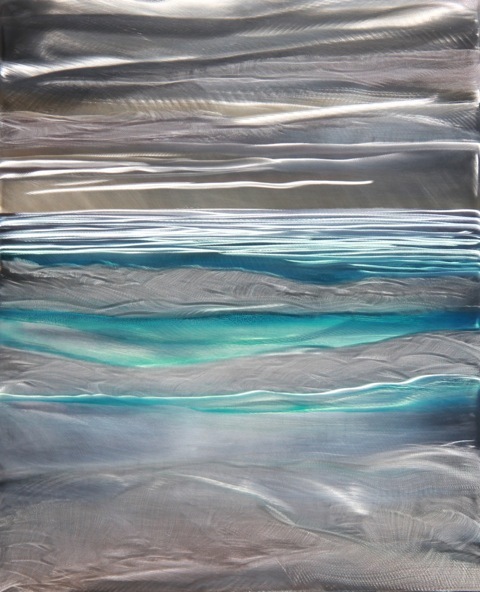 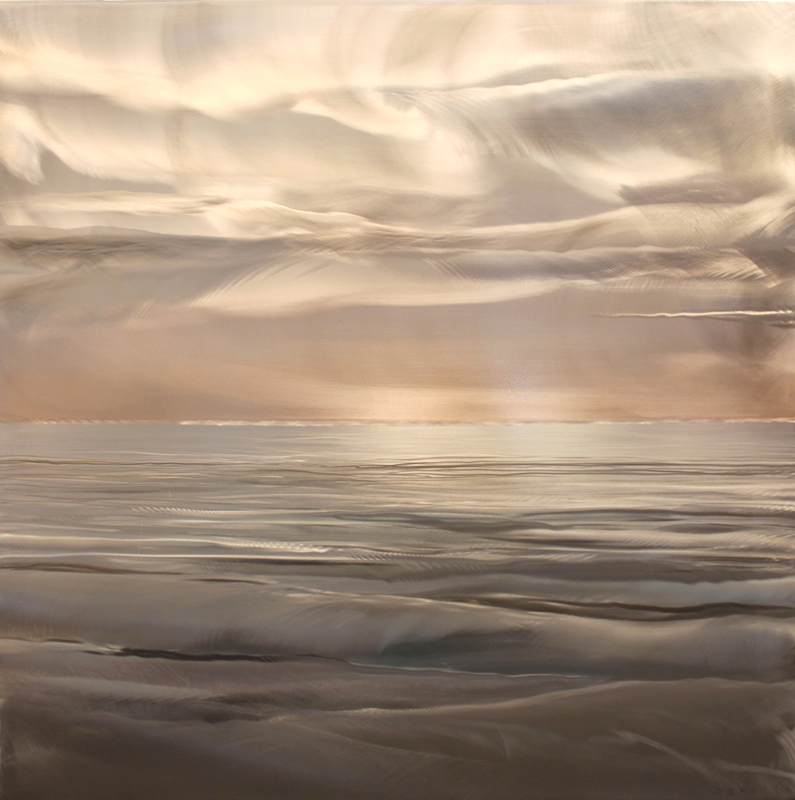 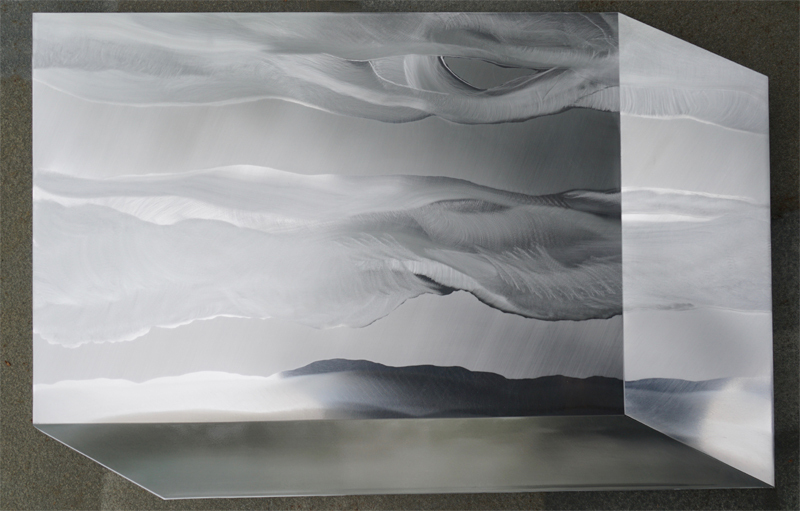 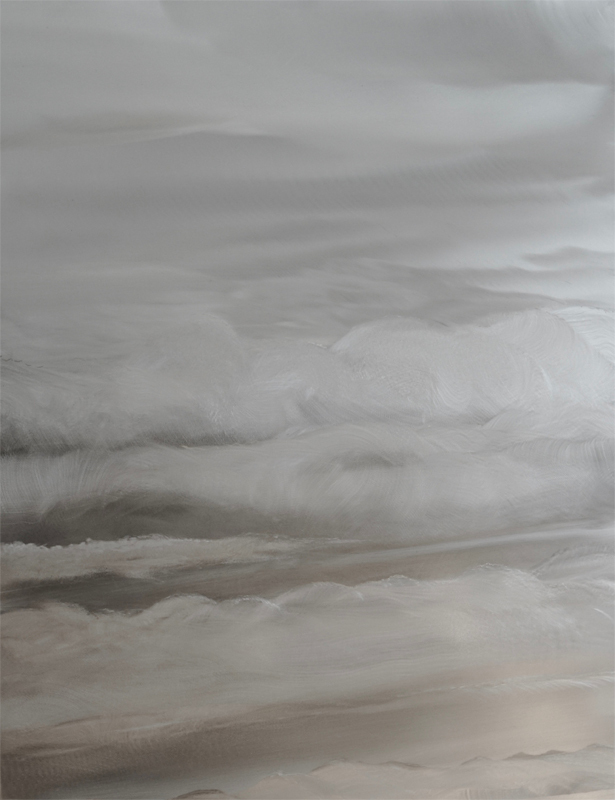 As the viewer shifts their gaze across the piece, the refraction and reflection make it appear as if the clouds and water in his paintings are steadily moving across the panel. 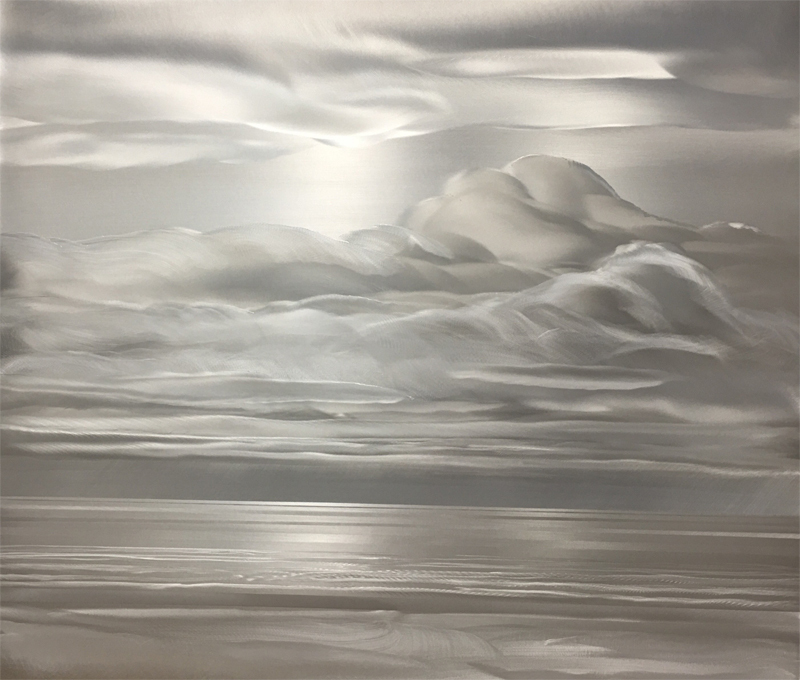 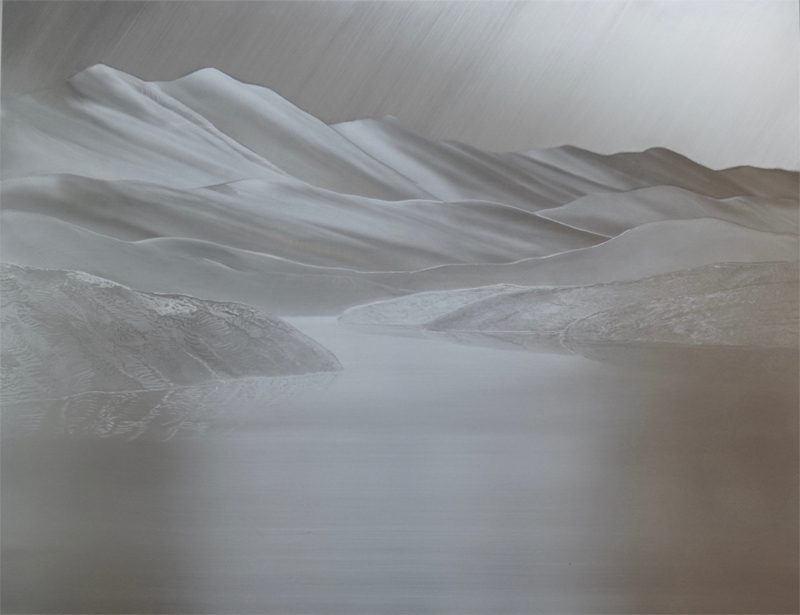 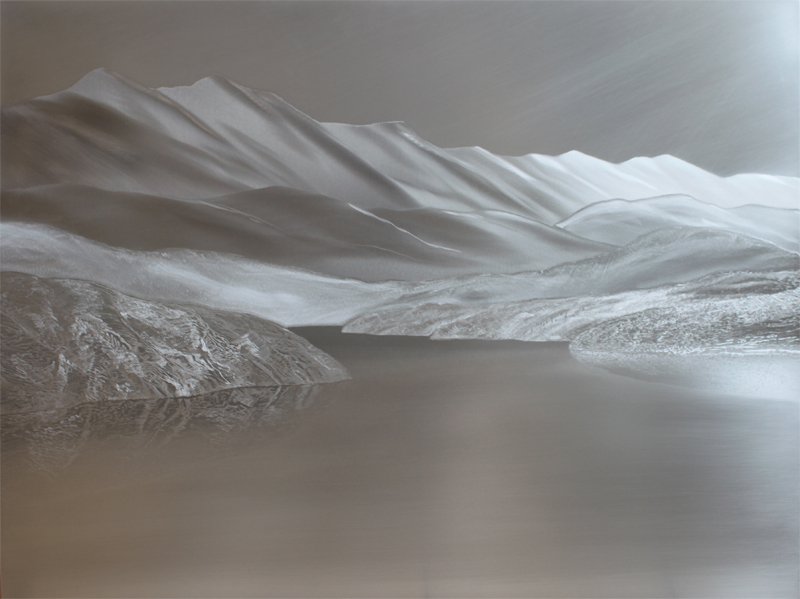 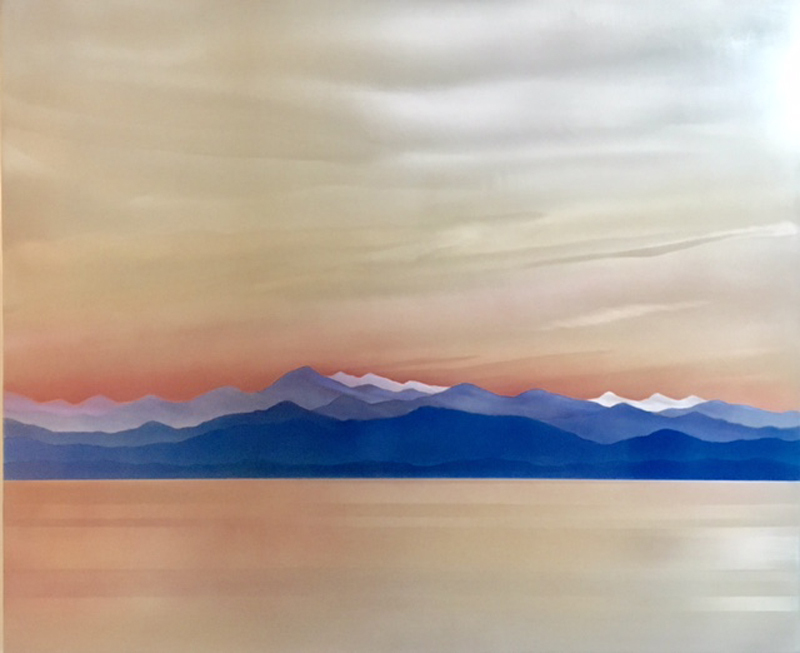 Burnishing, brushing, auto paint and sealants make his original pieces distinctive and versatile, able to be hung indoors or out. 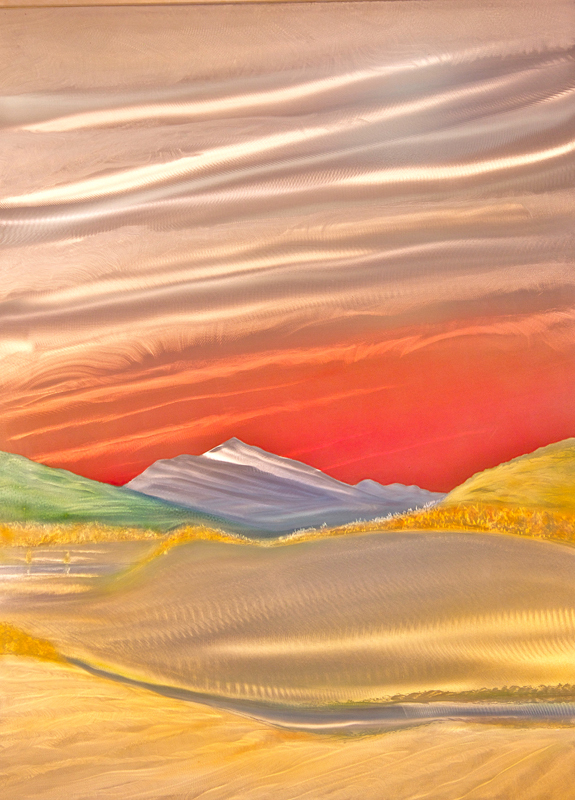 Homer’s artistic works have been featured in various galleries and at the Burning Man Festival.